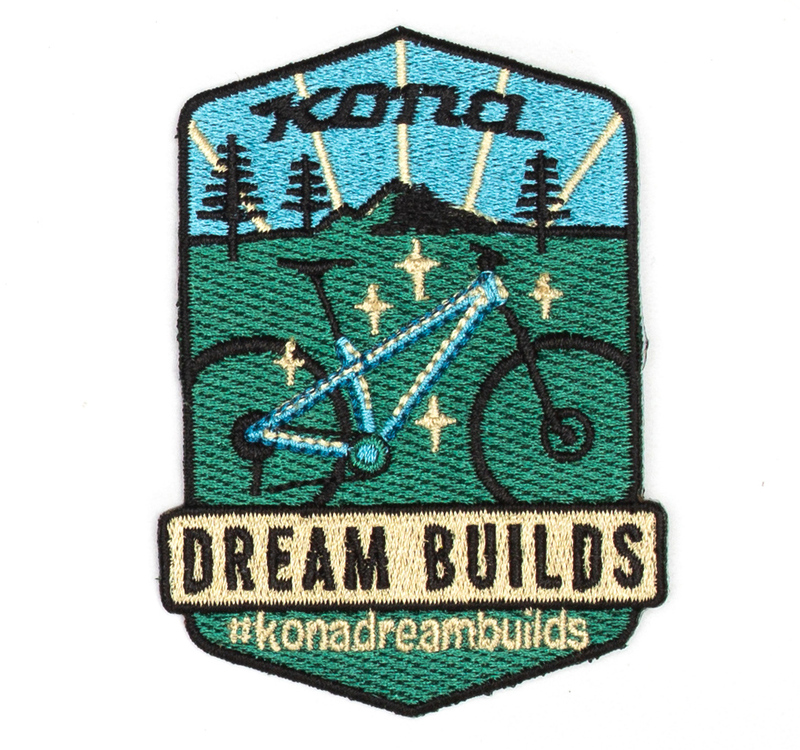 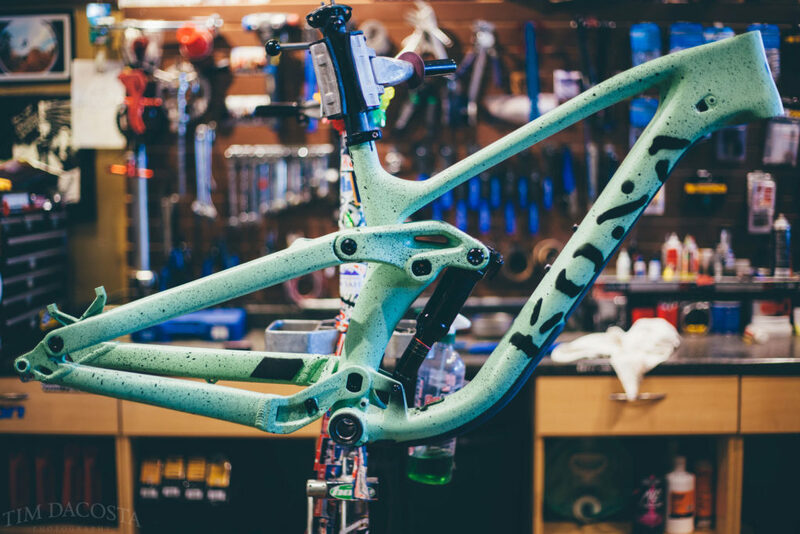 Kim submitted her cool looking 2016 Process 153 via the #KonaDreamBuilds hashtag on Instagram, the moment it appeared in the feed we knew it just had to be featured here on the cog. 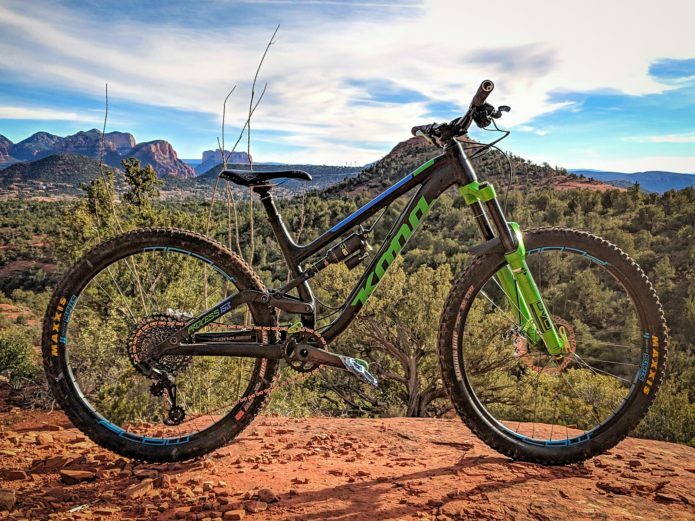 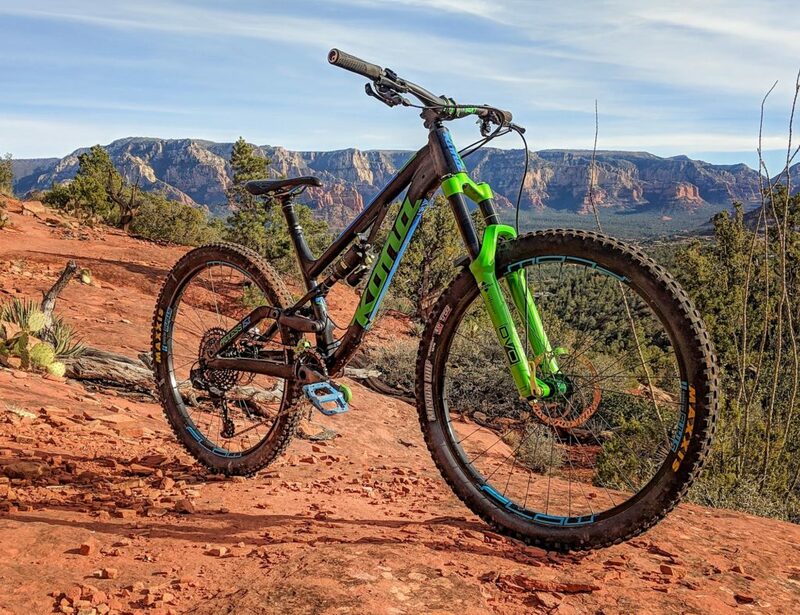 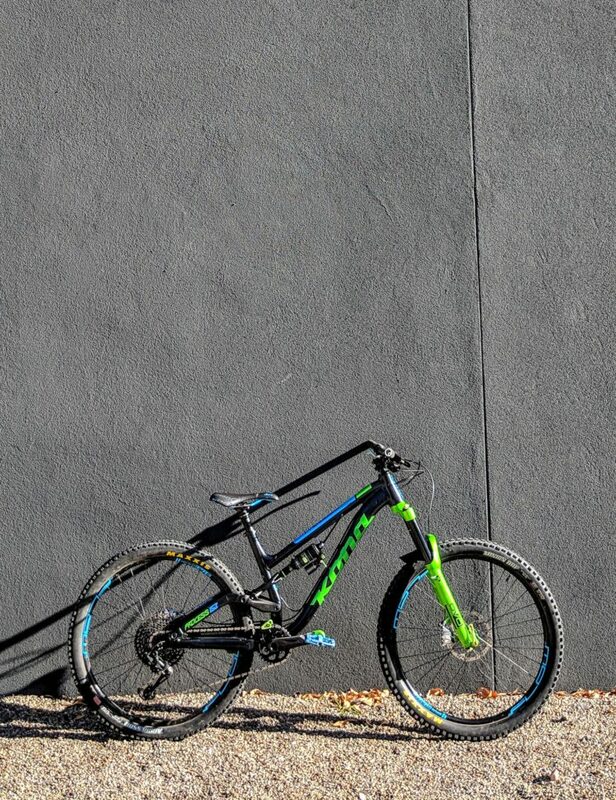 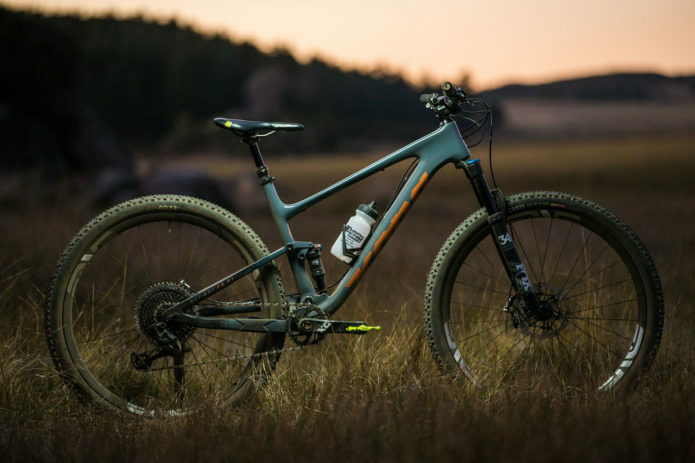 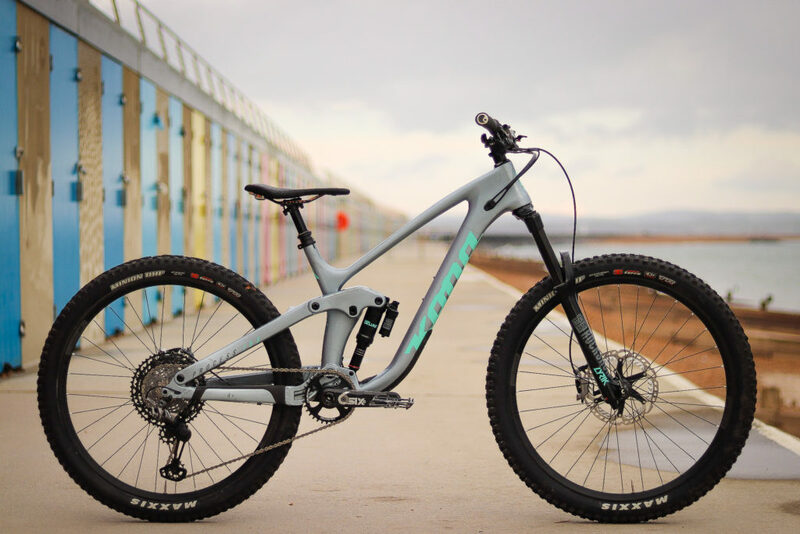 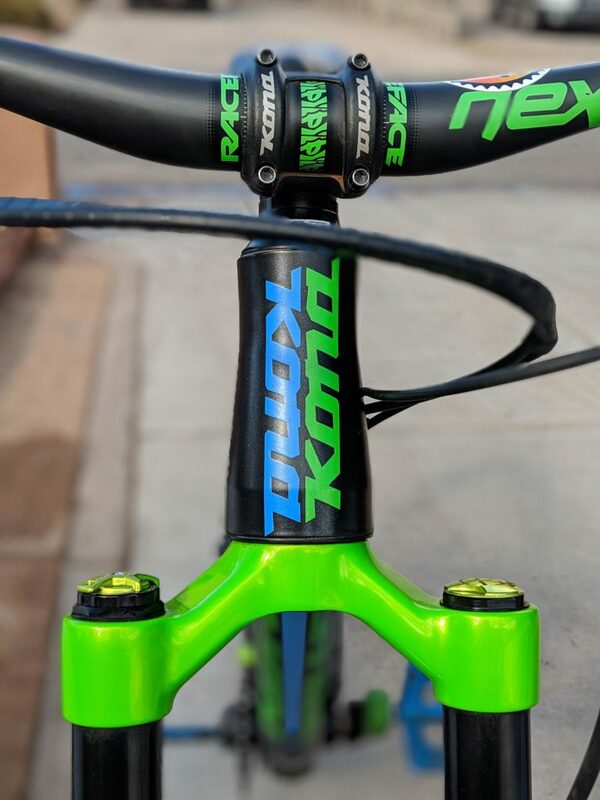 The green and blue themed build is not just about color, it’s about functionality and tuneability, and Kim has the DVO suspension dialed just right. 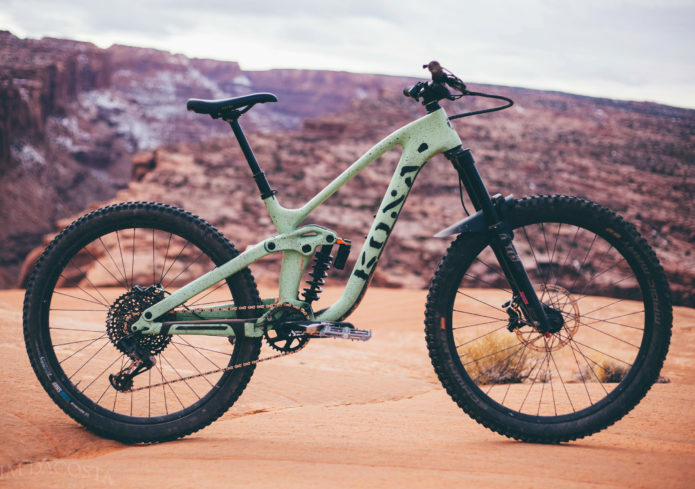 But you have to admit the limited color does have a WOW factor. 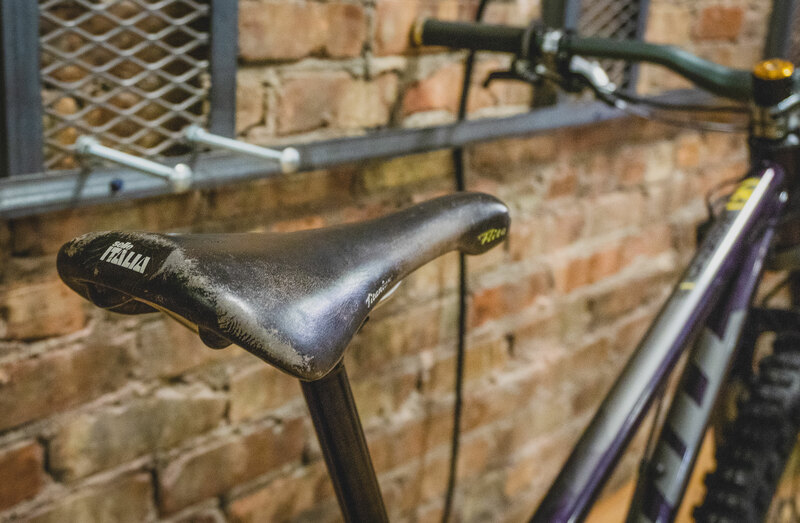 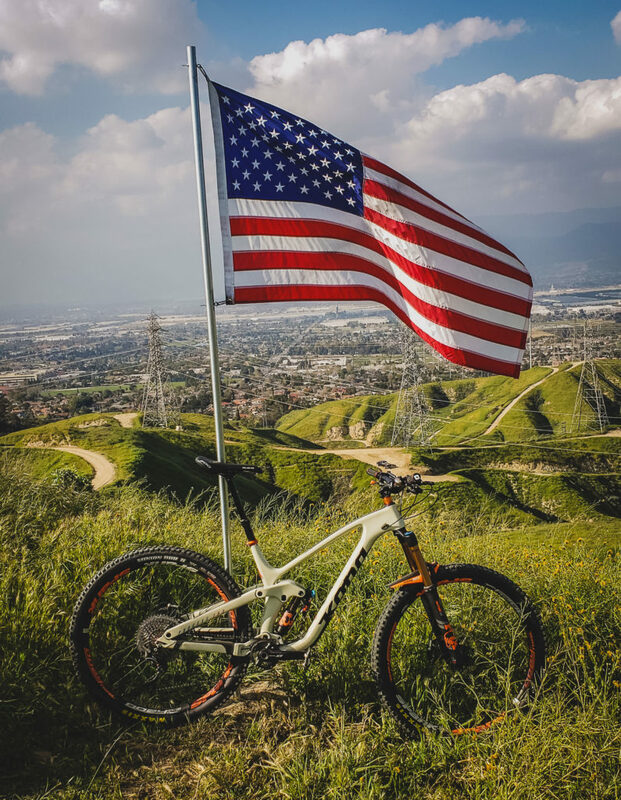 I am a nuclear scientist by trade, but I would much rather be riding my bike anytime of the day. 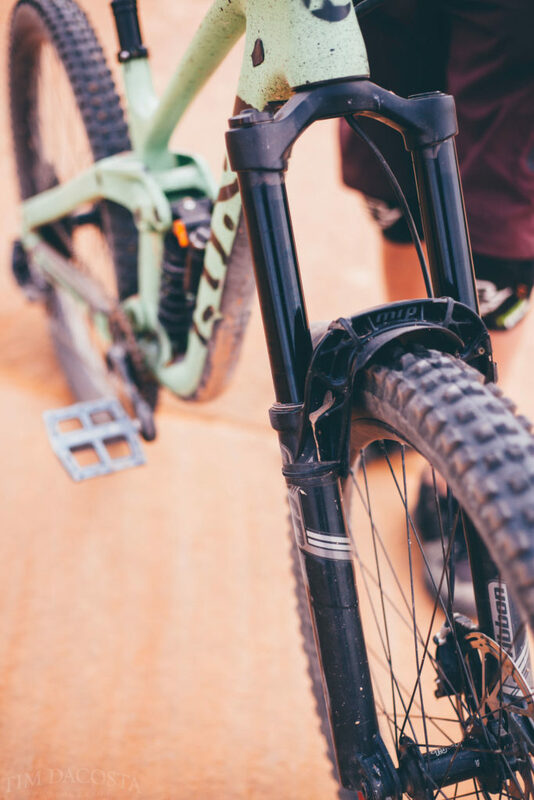 My husband built and maintains the website for The Broken Spoke here in Santa Fe (on the side of his normal 9-5 job), so we are often found hanging out there after work. 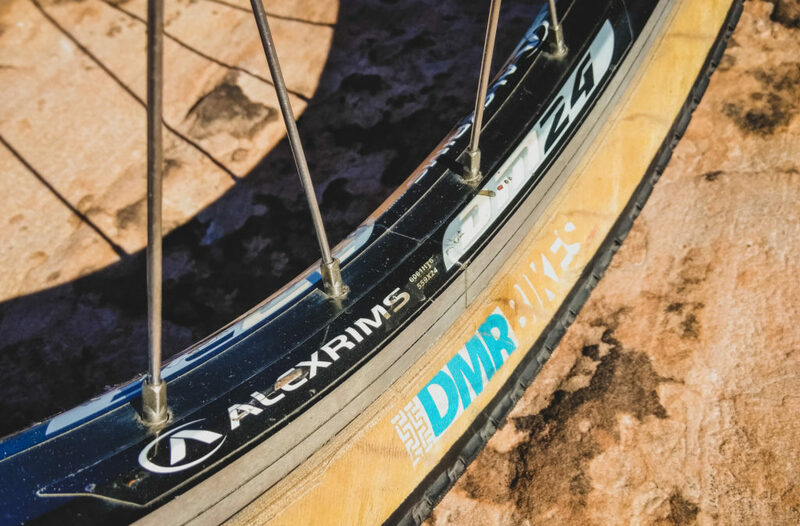 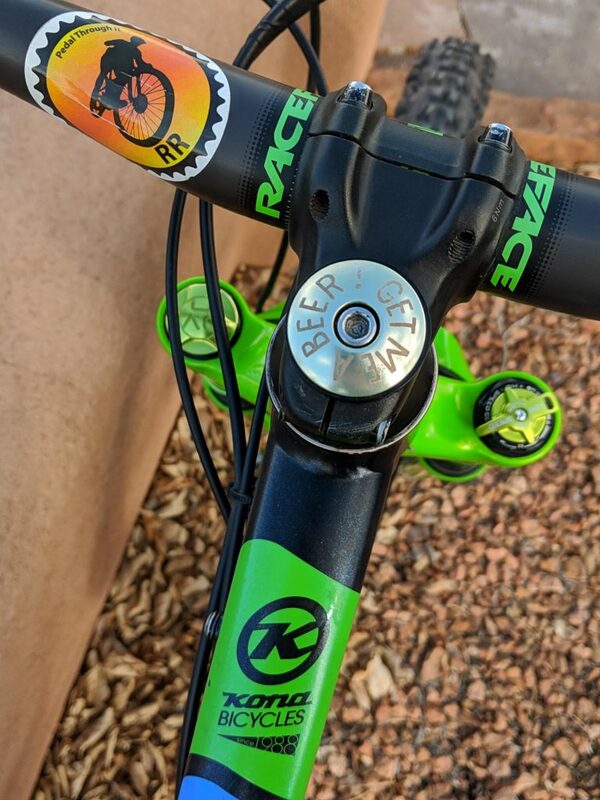 We are both members of the rather informal Broken Spoke race team. 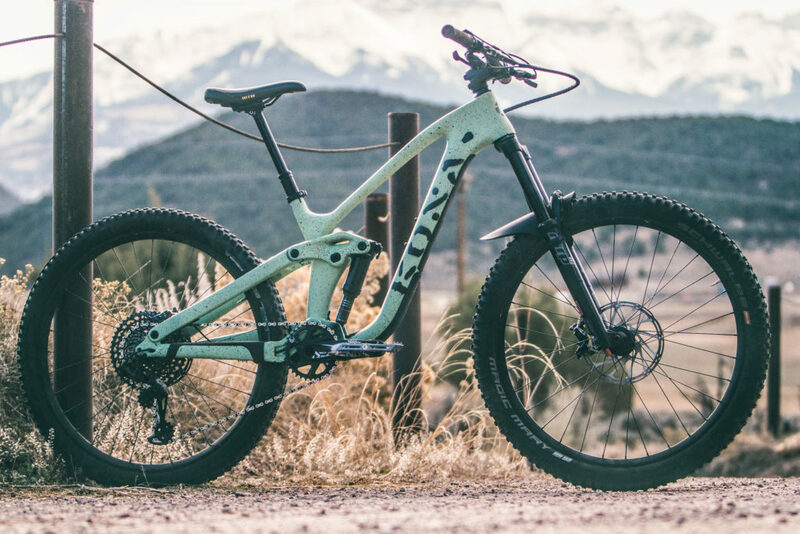 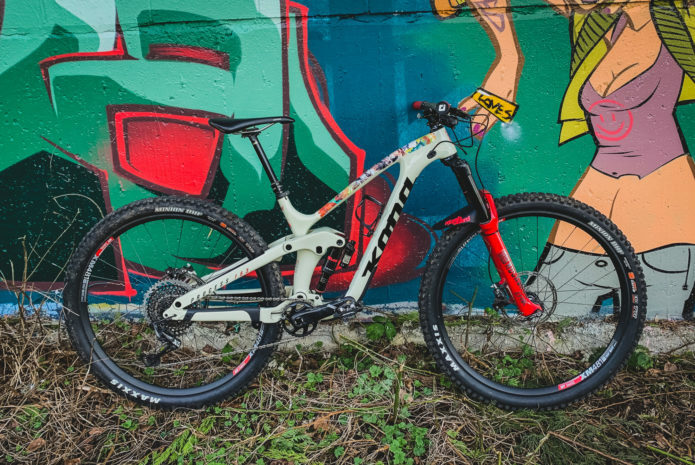 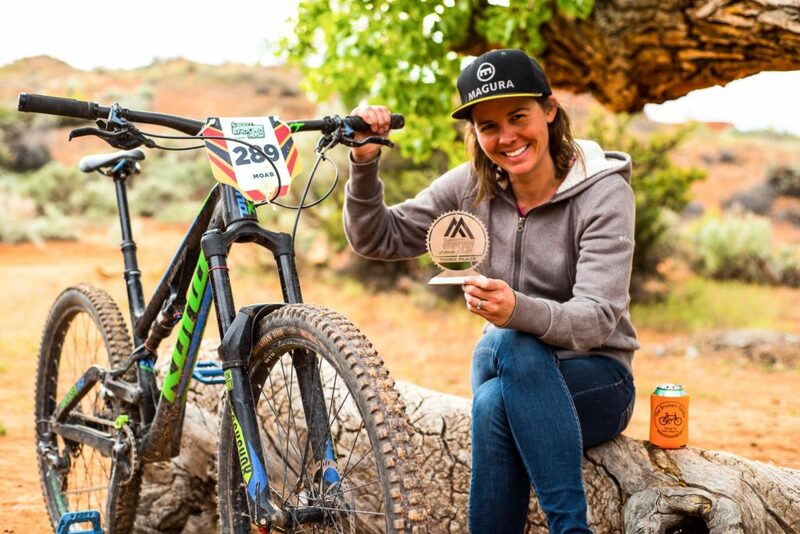 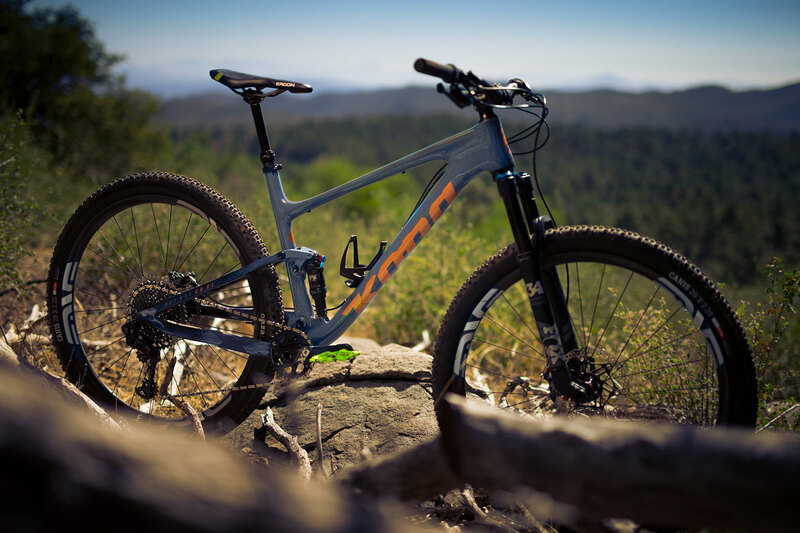 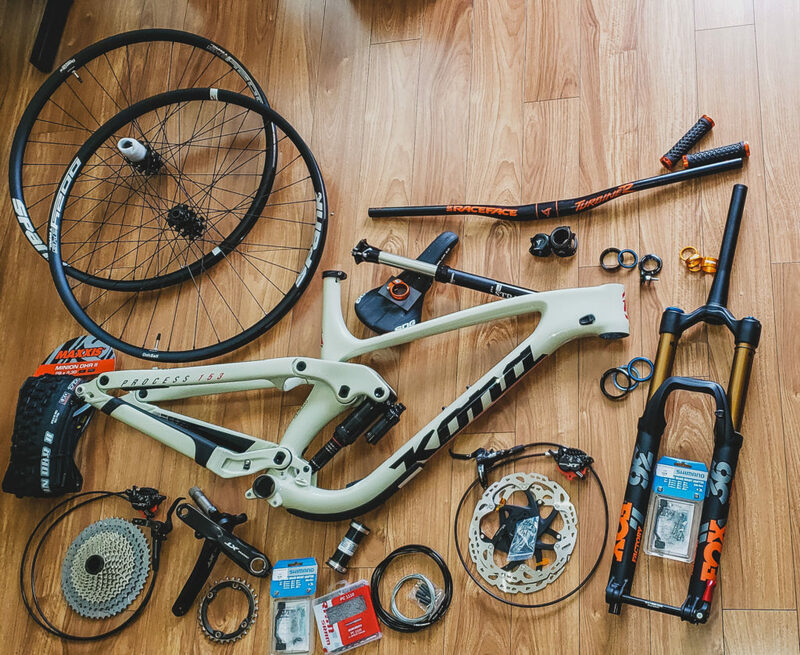 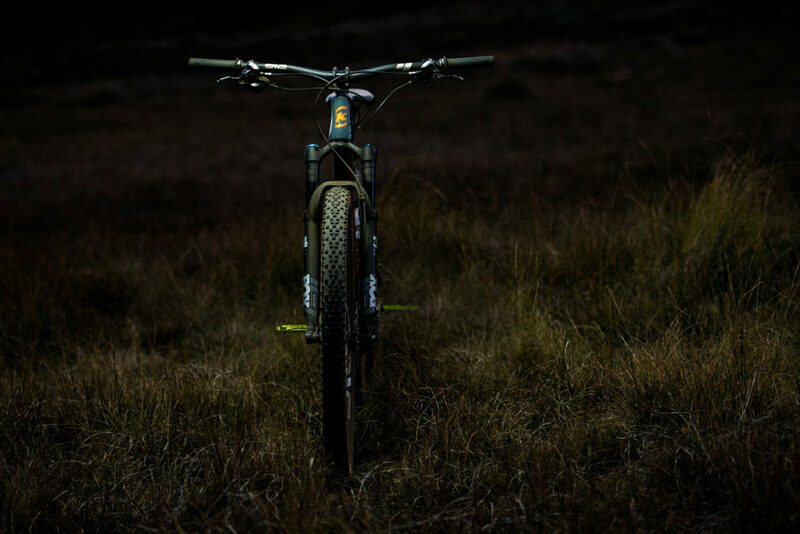 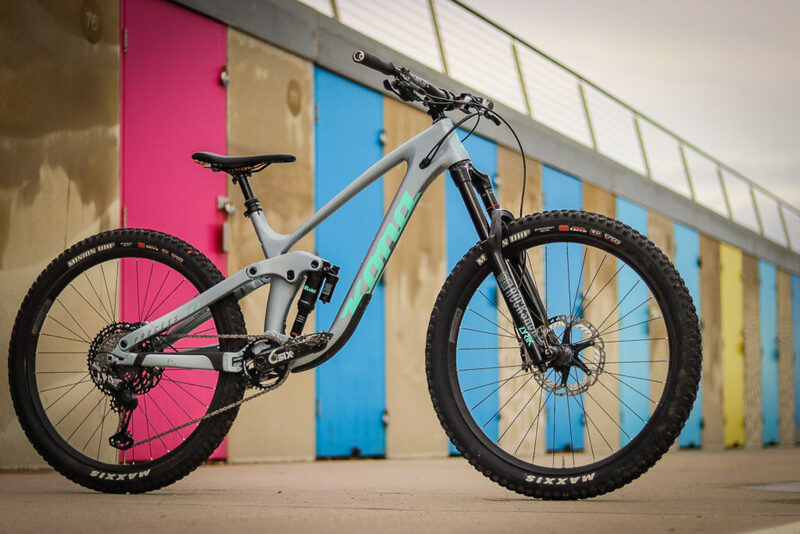 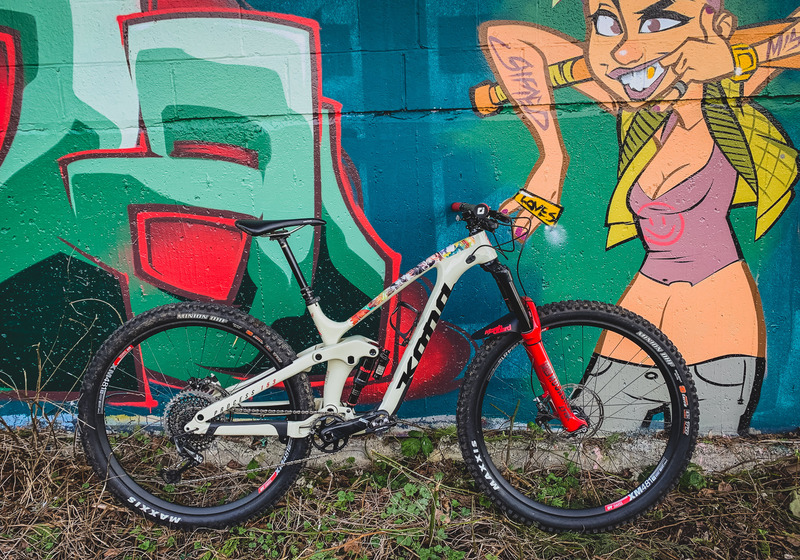 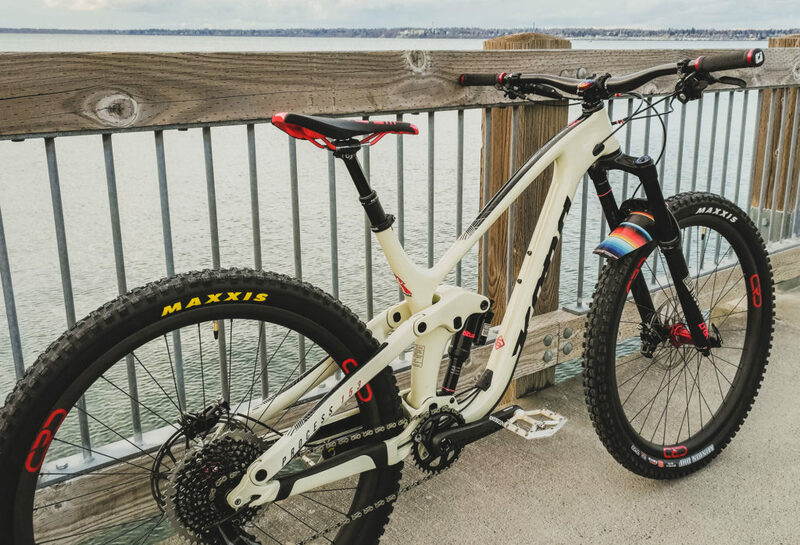 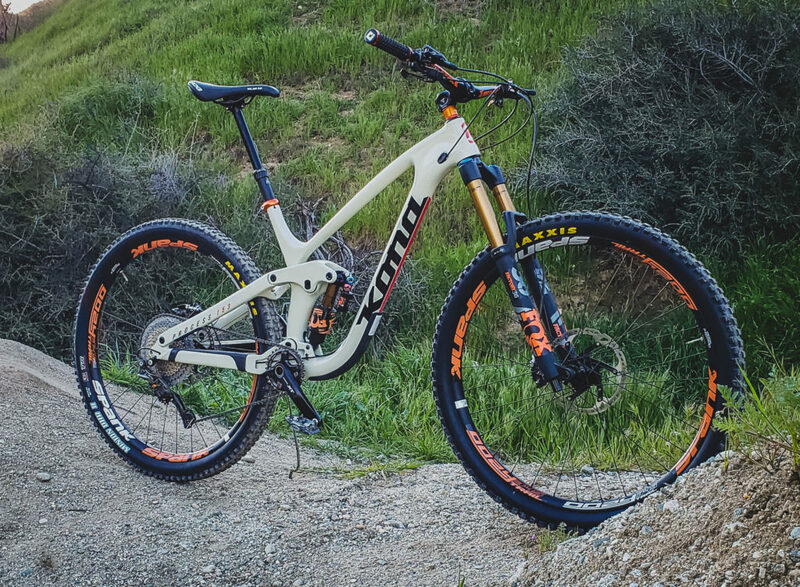 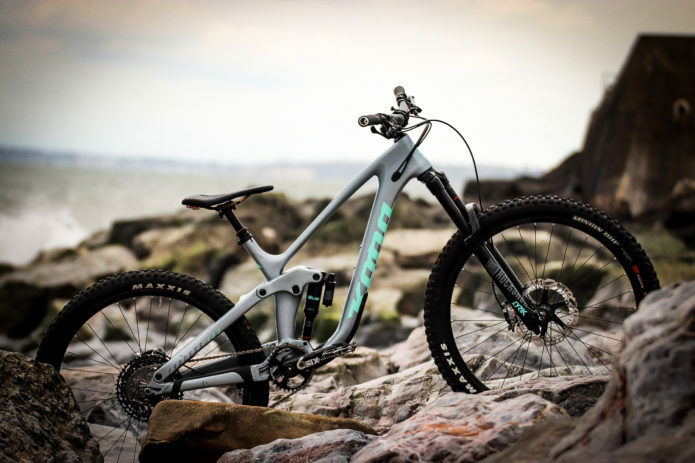 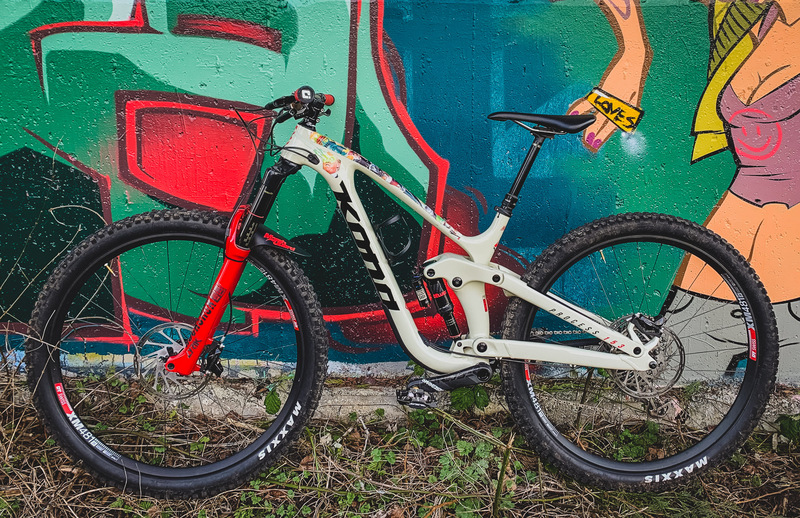 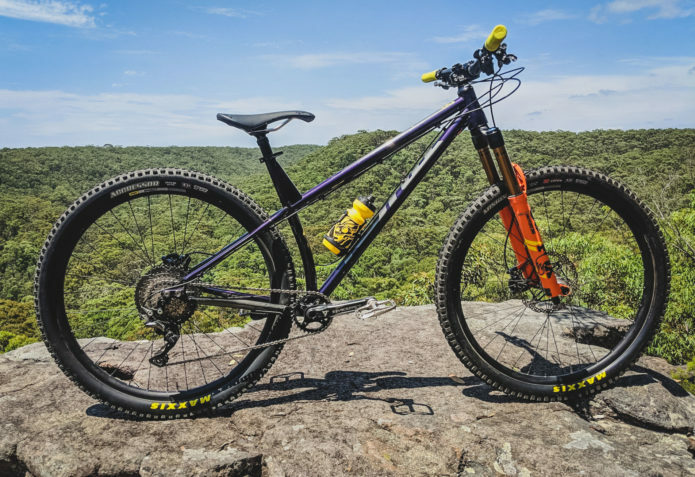 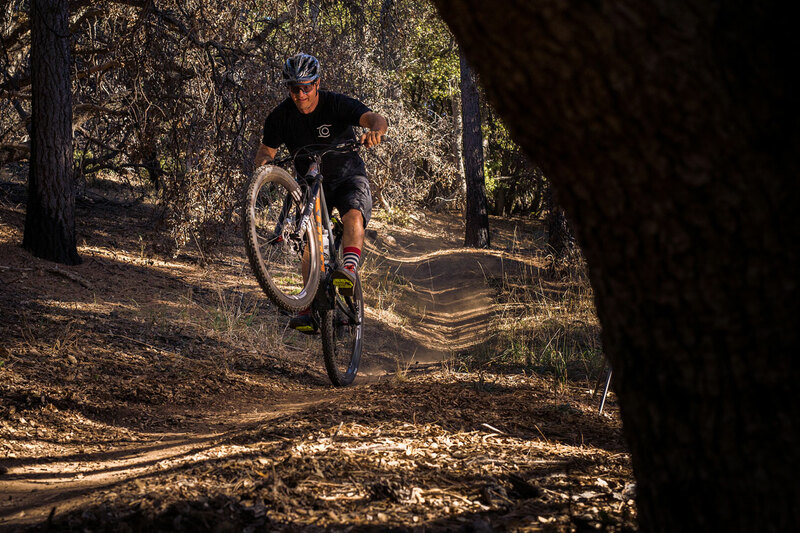 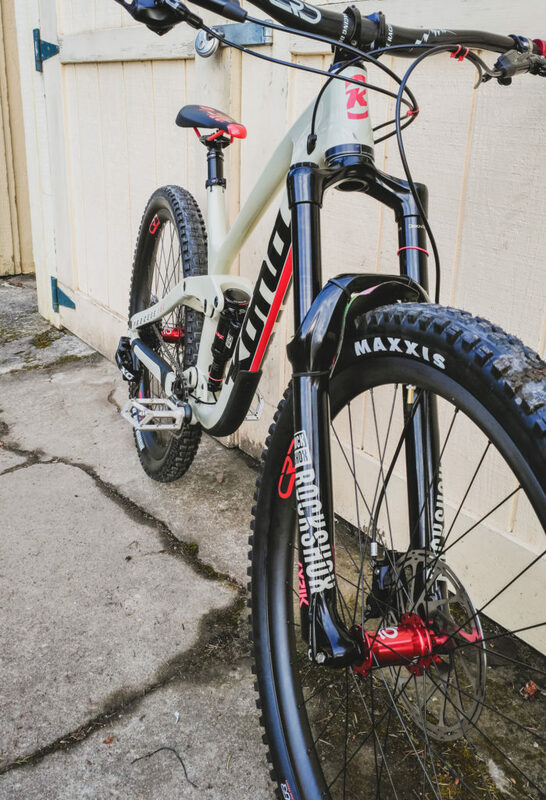 I wanted to try out enduro racing, but I also wanted a bike that was versatile, playful, and durable for hitting up the bike park. 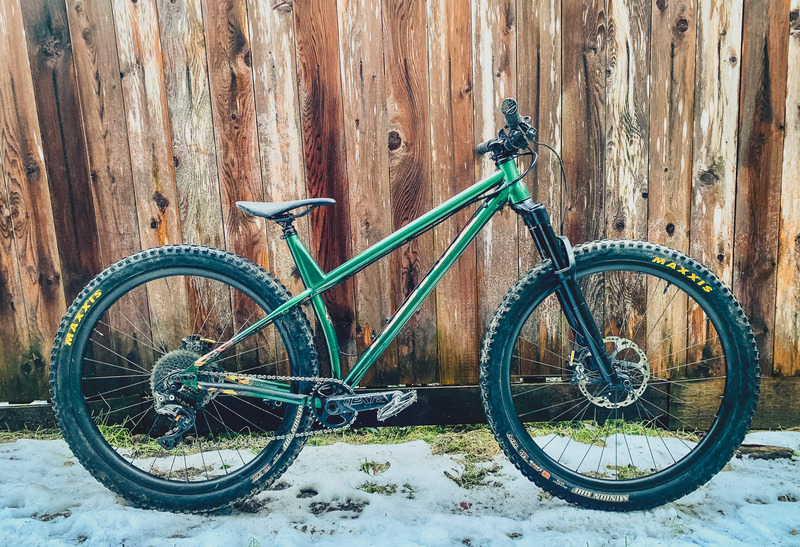 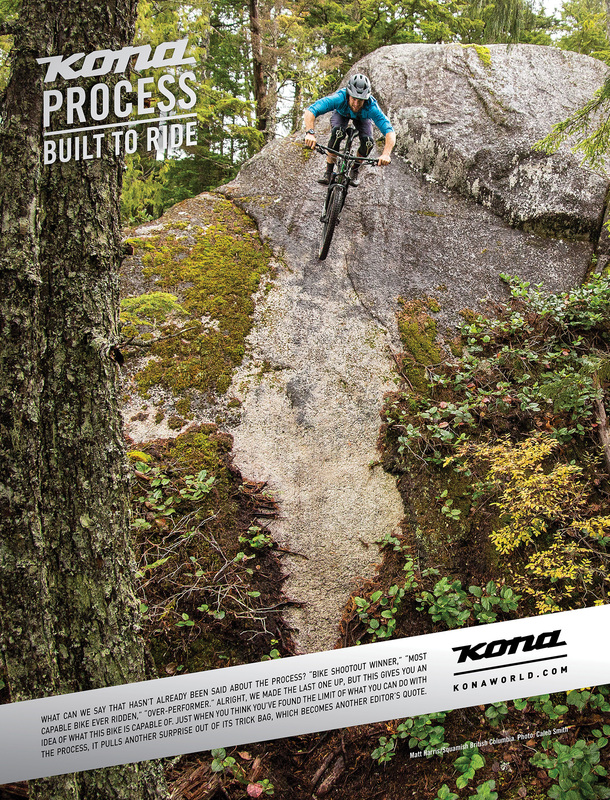 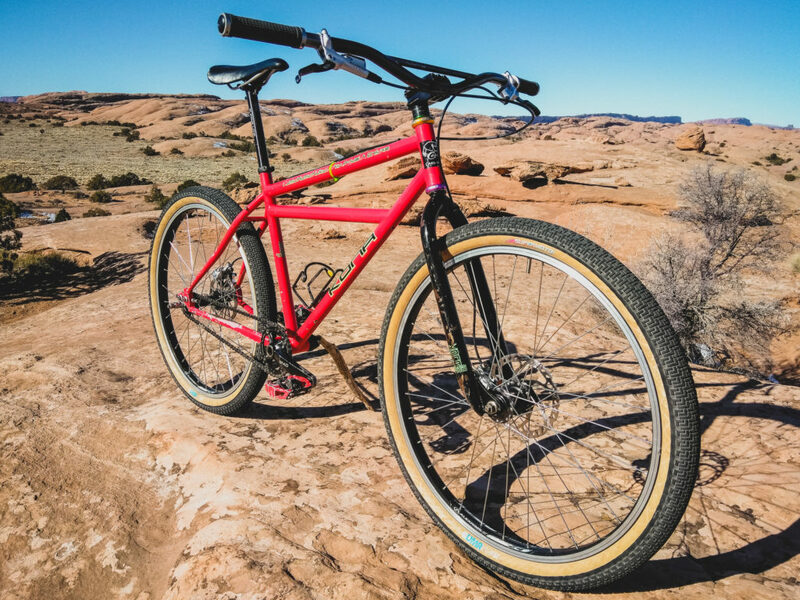 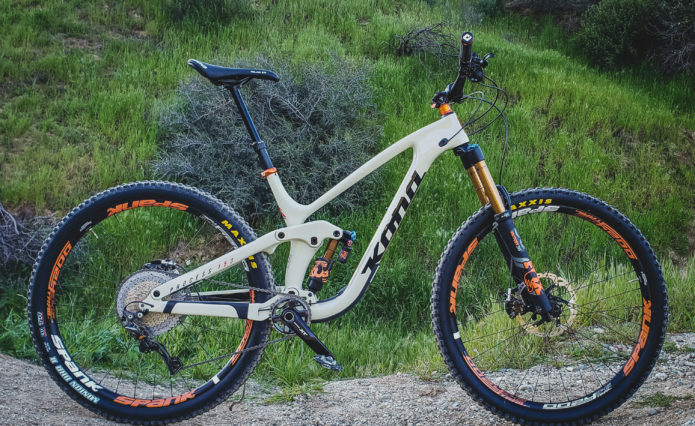 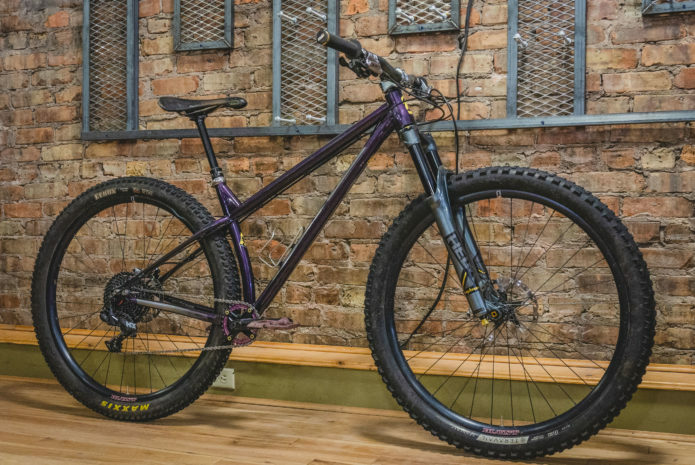 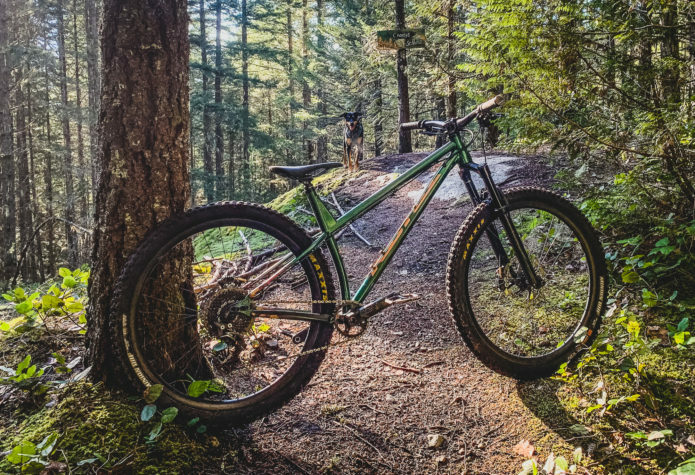 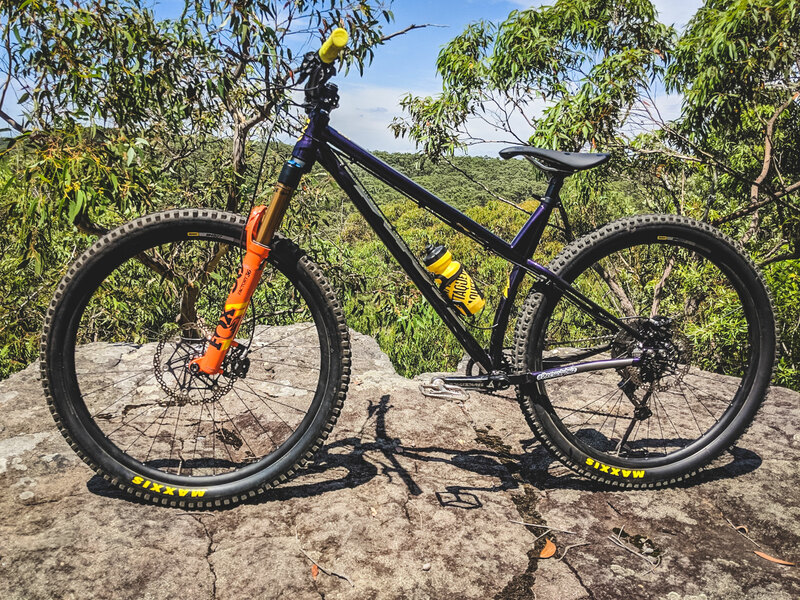 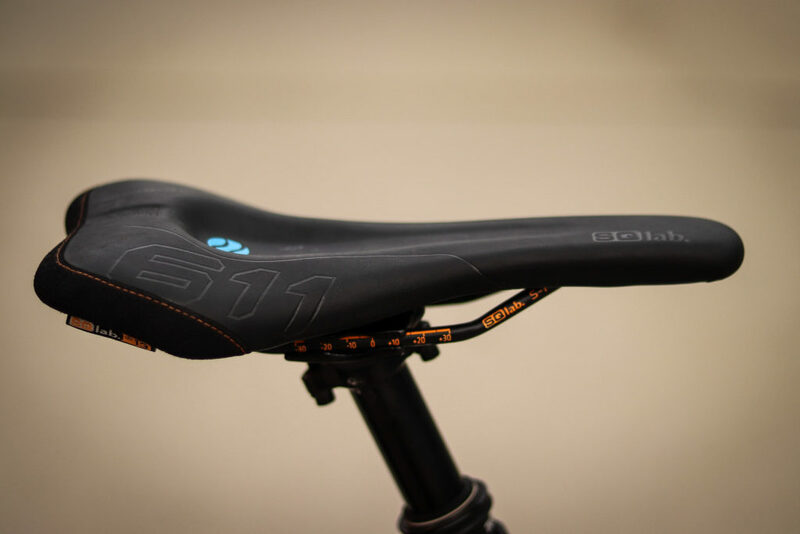 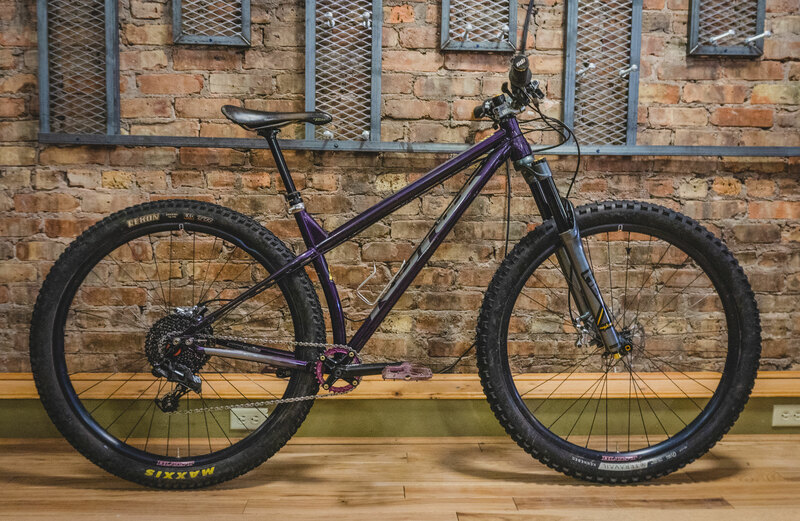 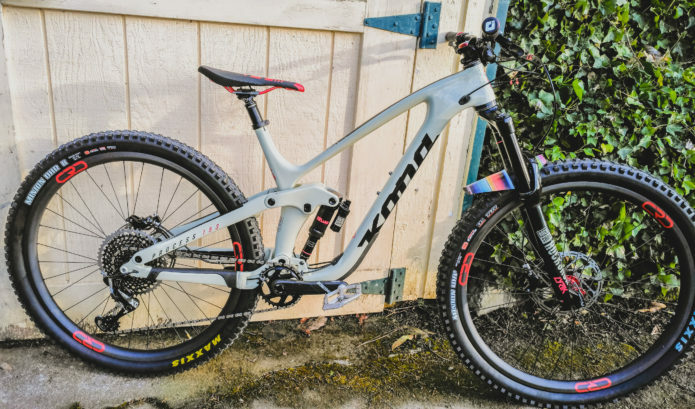 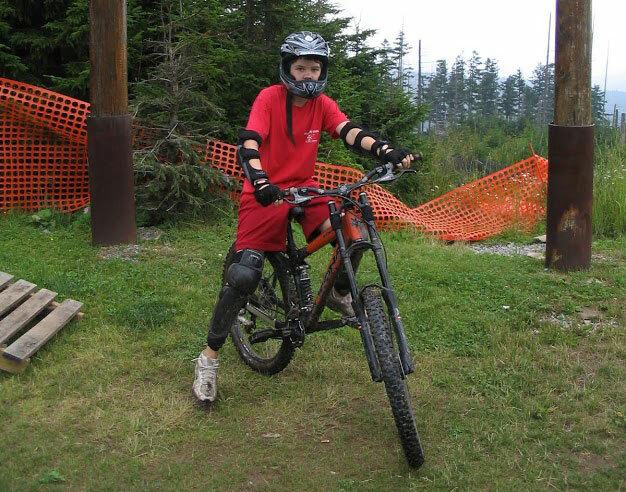 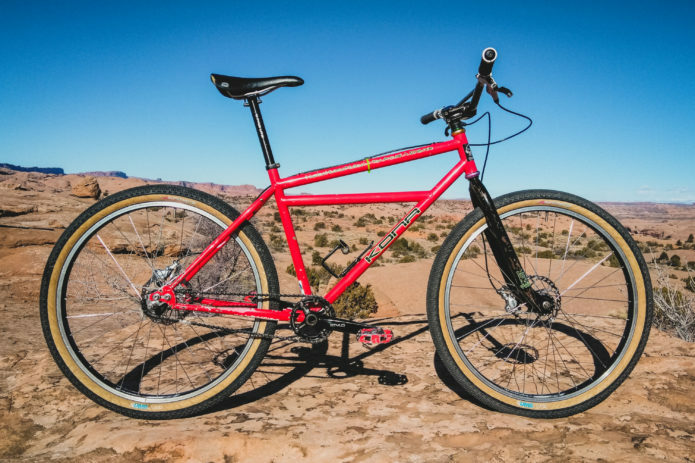 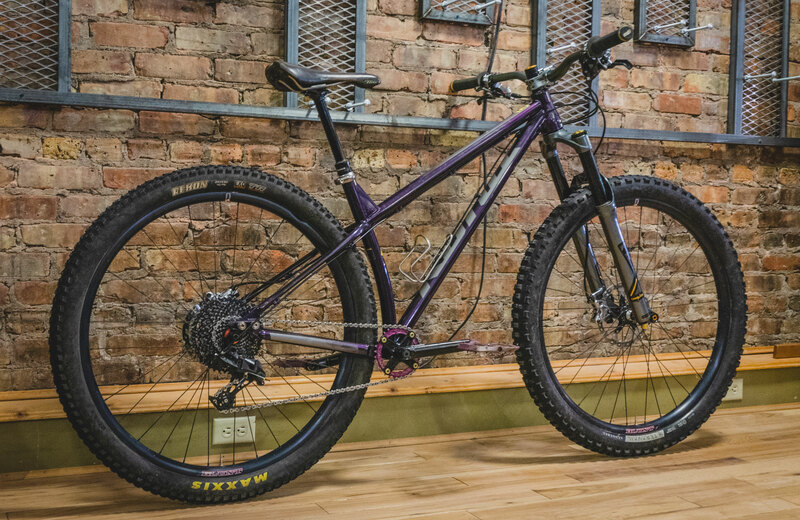 My previous “trail/enduro” bike was a Commencal Meta 5.5 that was one size too small (among other things). 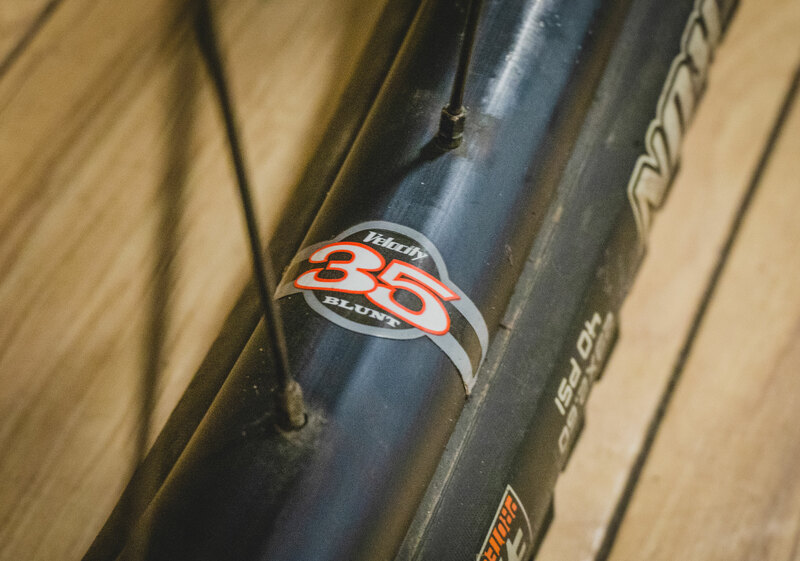 The 153 was a game-changer for me. 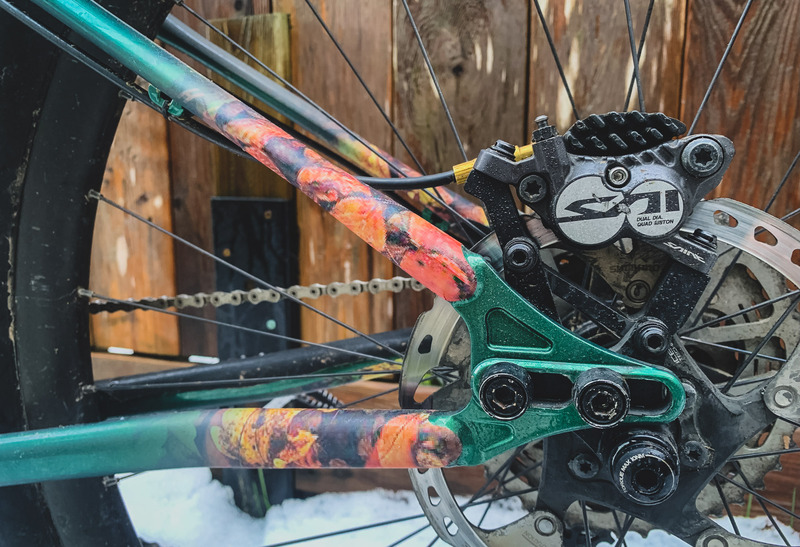 As my skills progressed, I started changing out parts, and 2.5 years later, I now have a perfectly-dialed enduro machine. 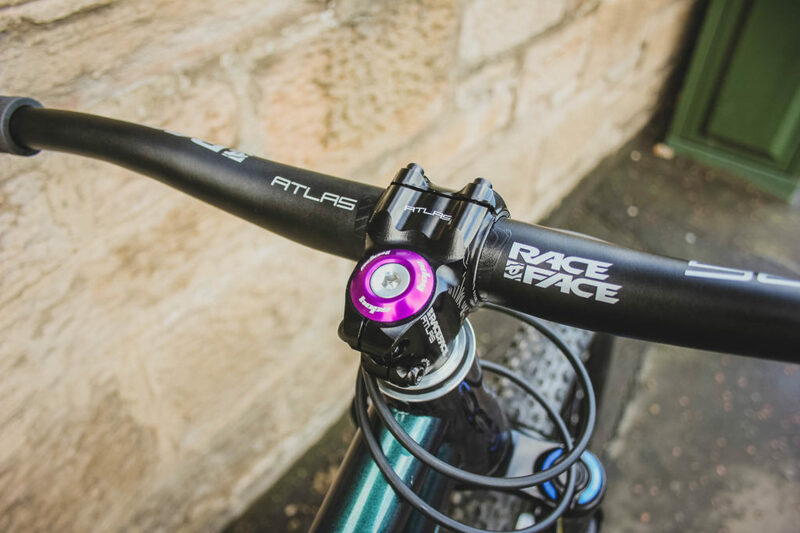 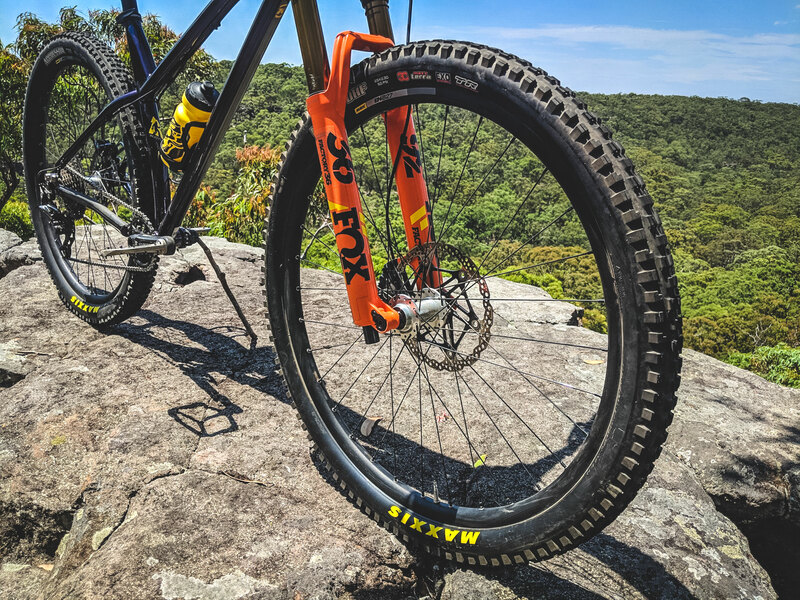 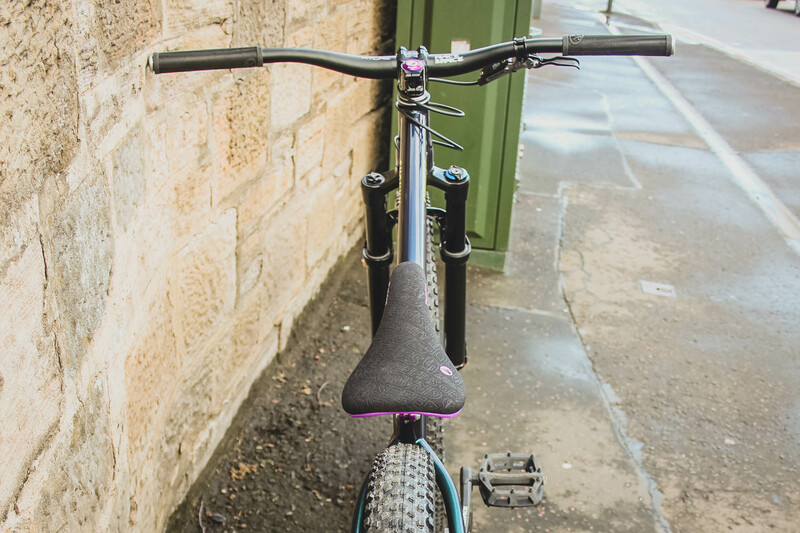 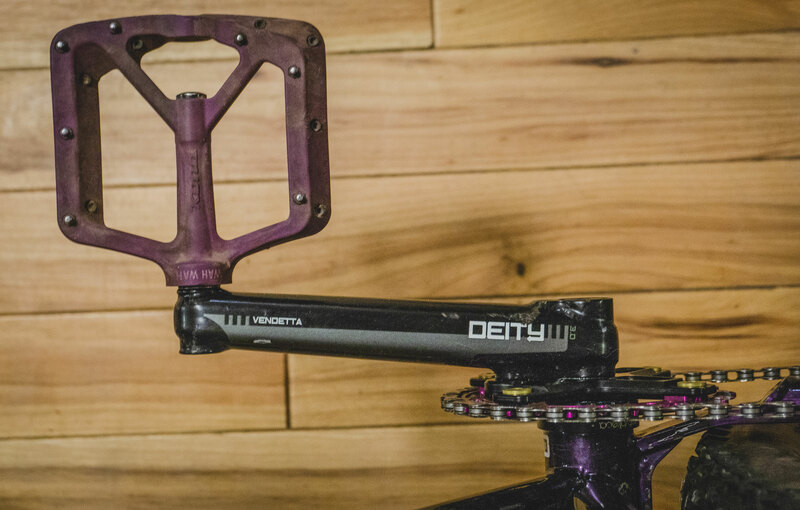 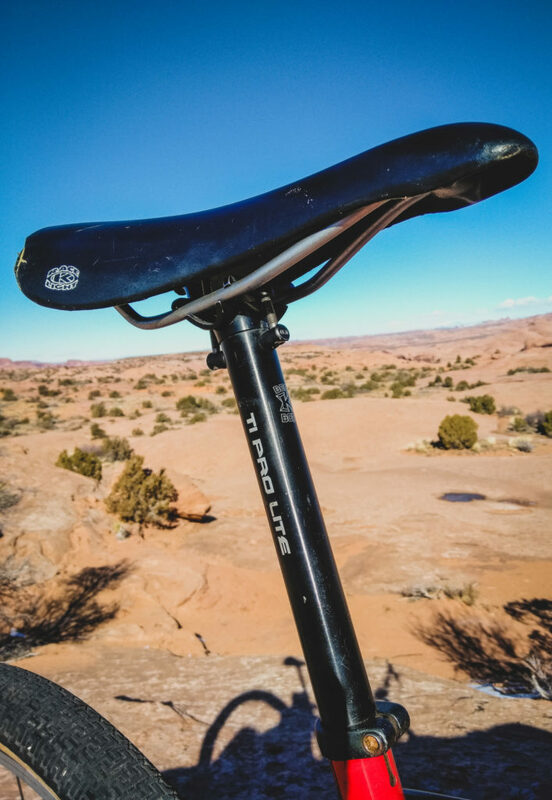 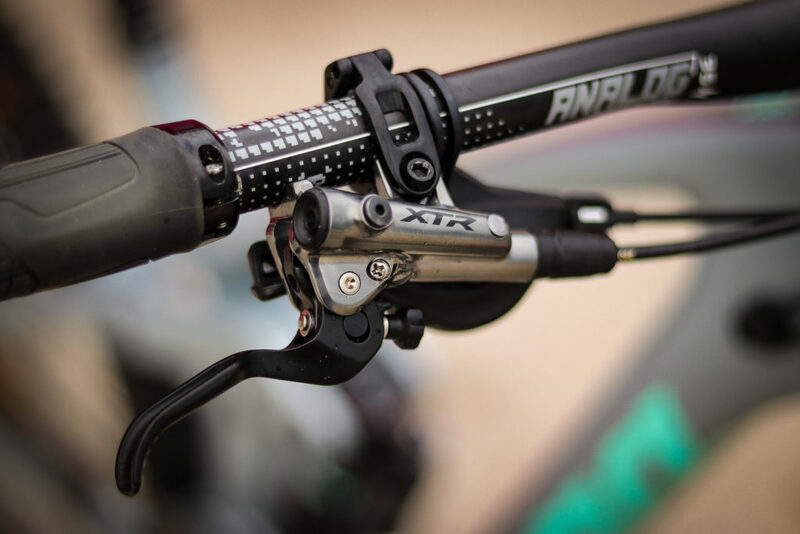 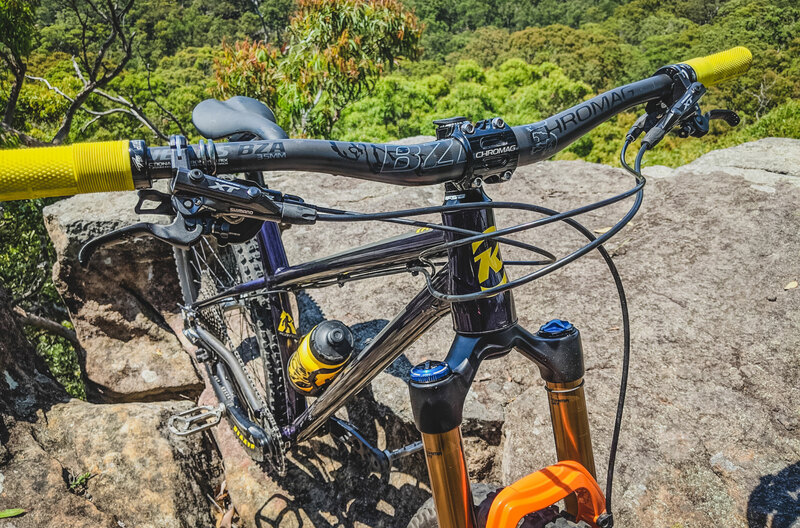 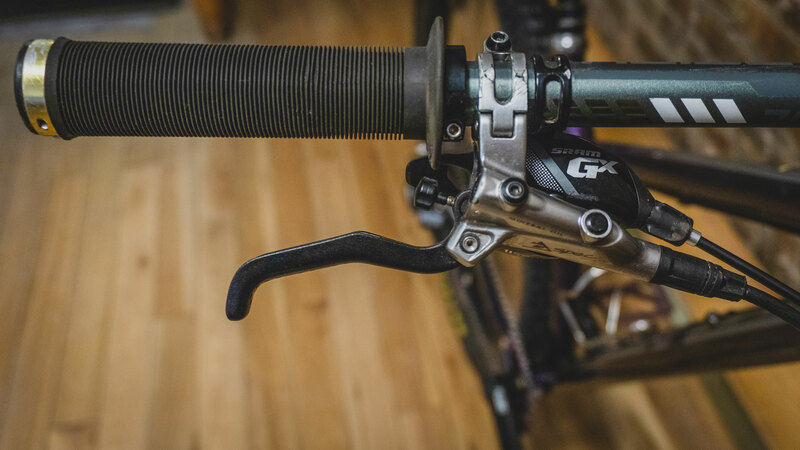 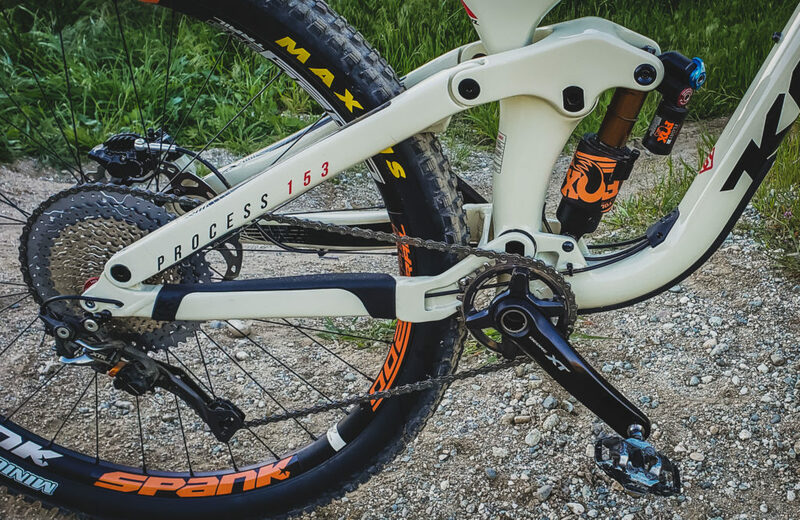 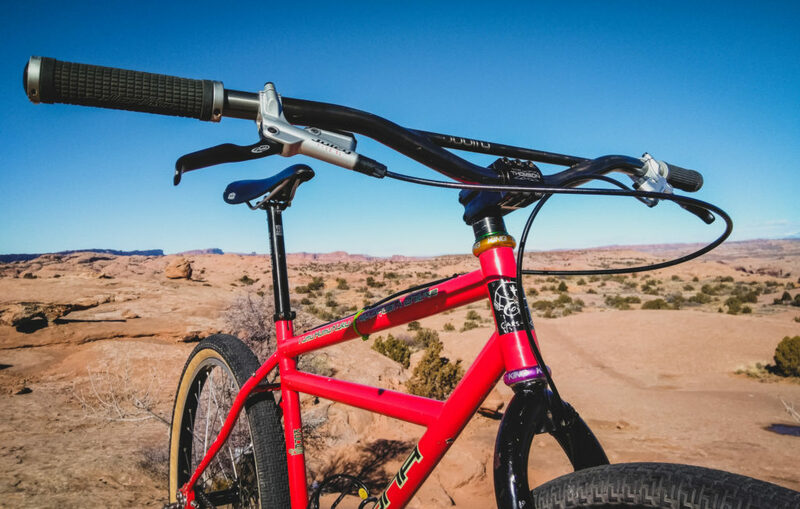 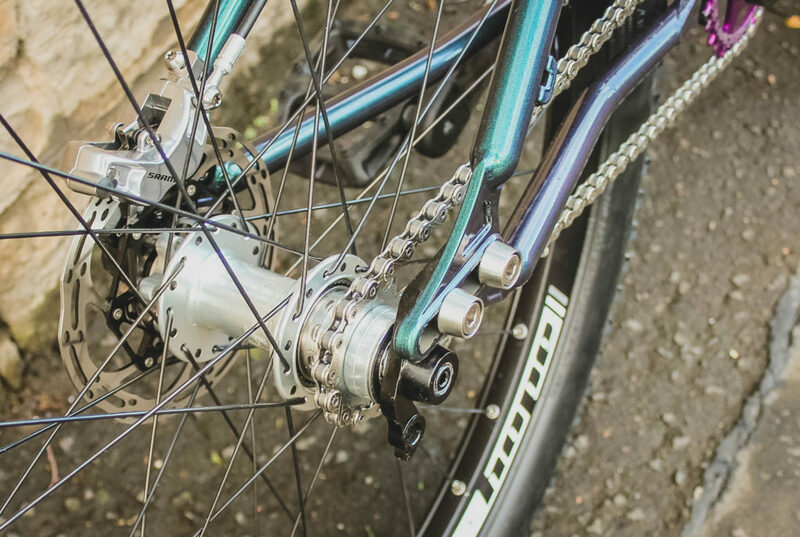 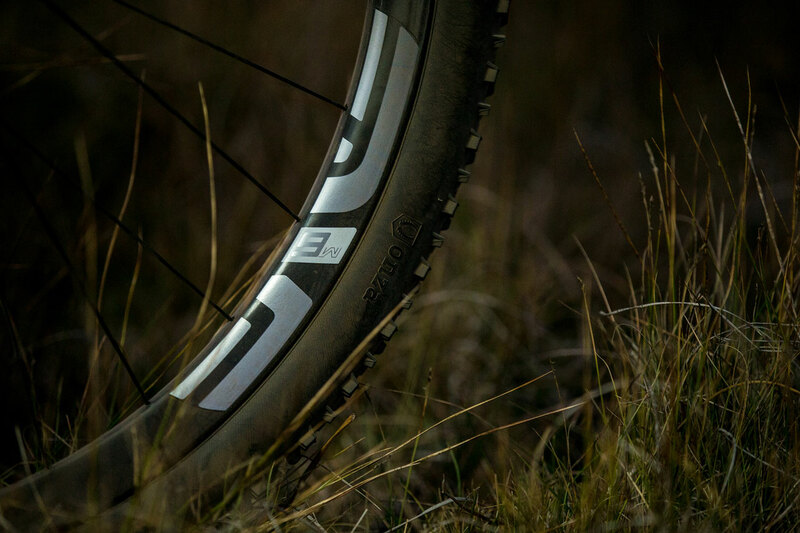 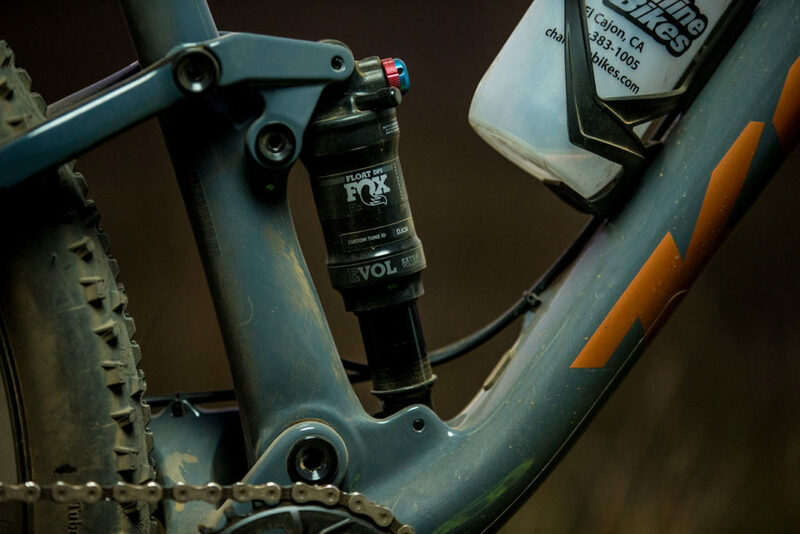 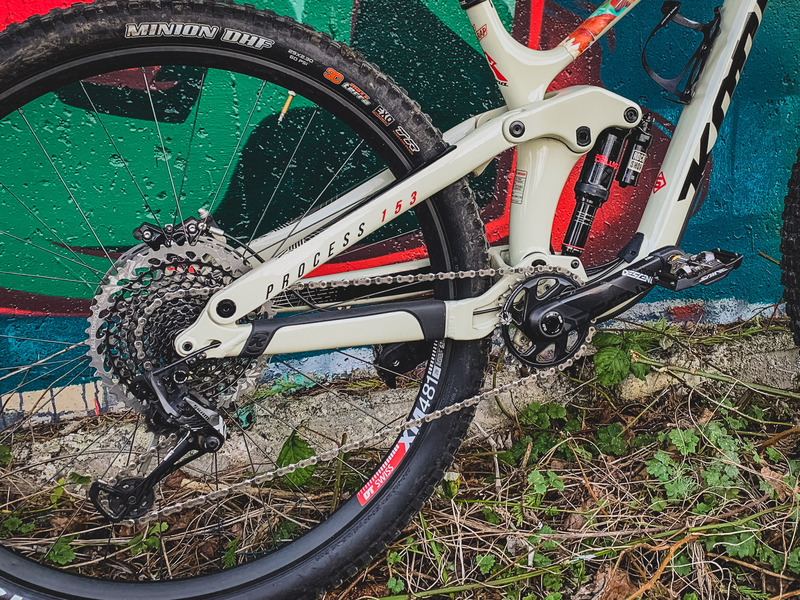 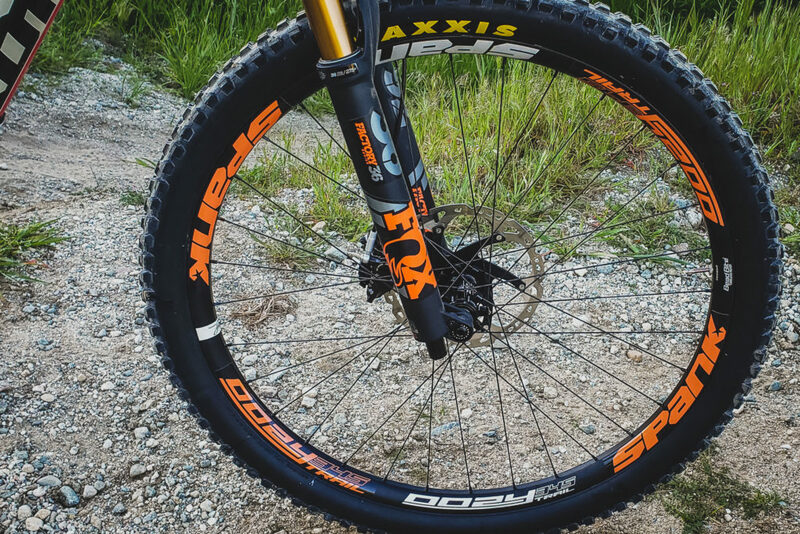 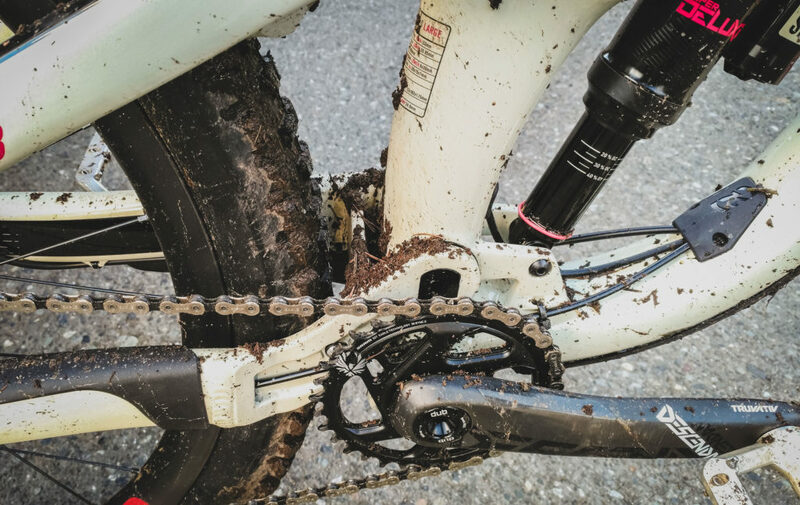 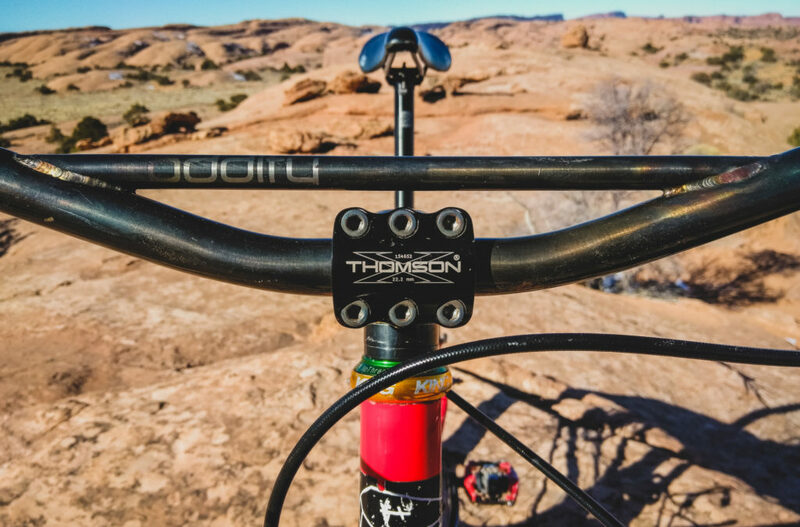 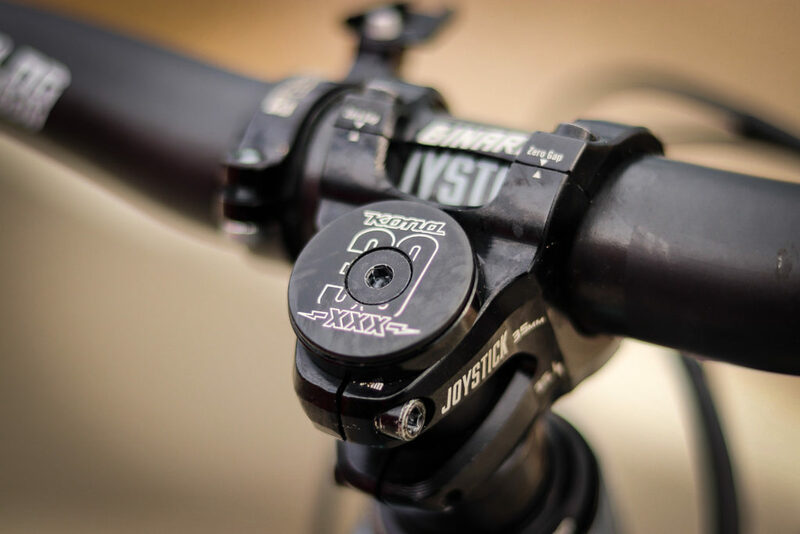 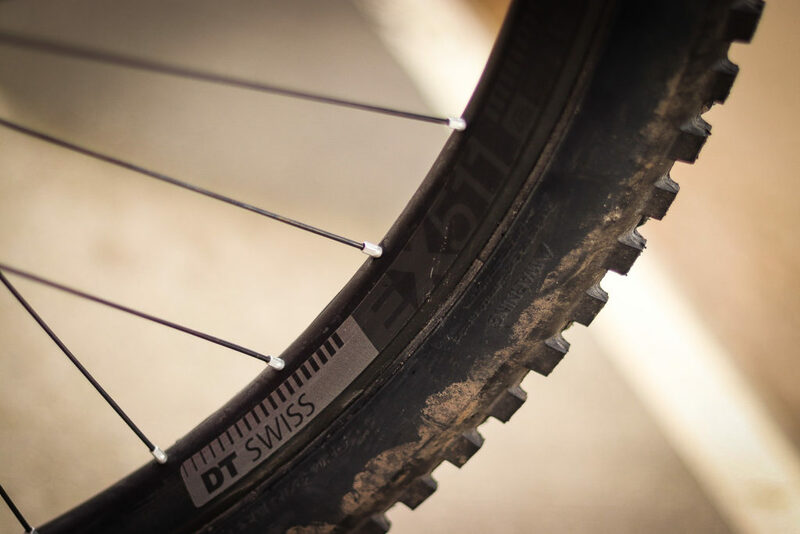 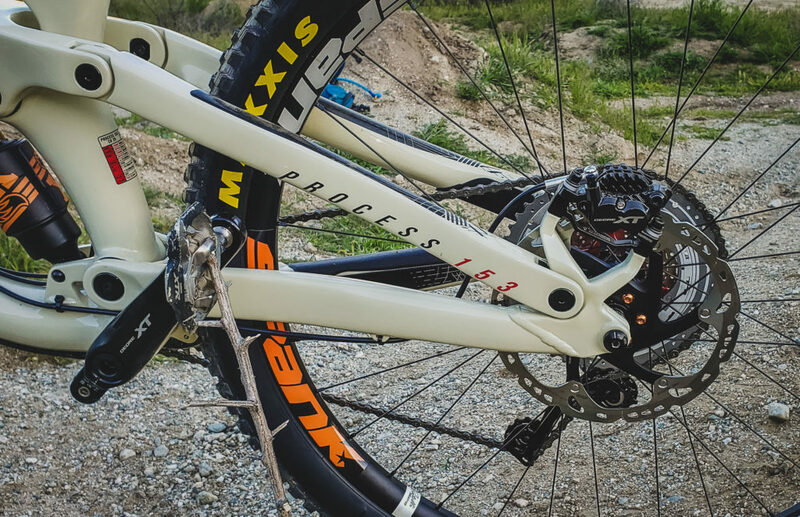 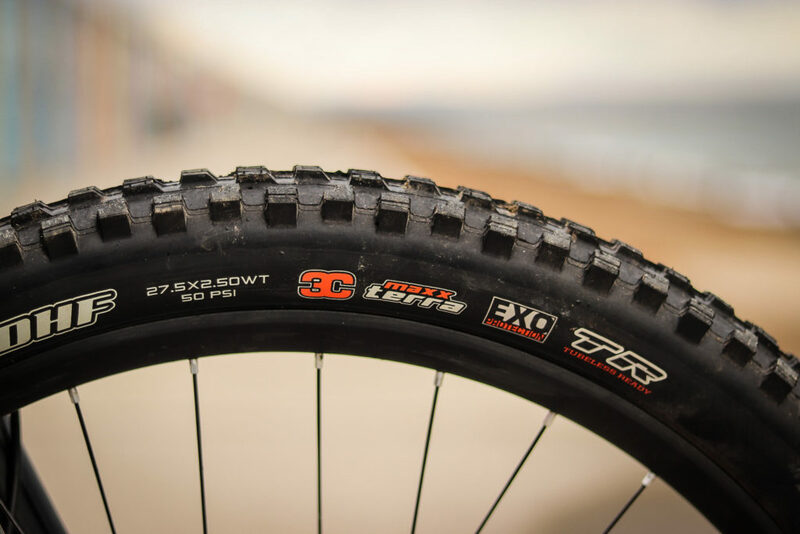 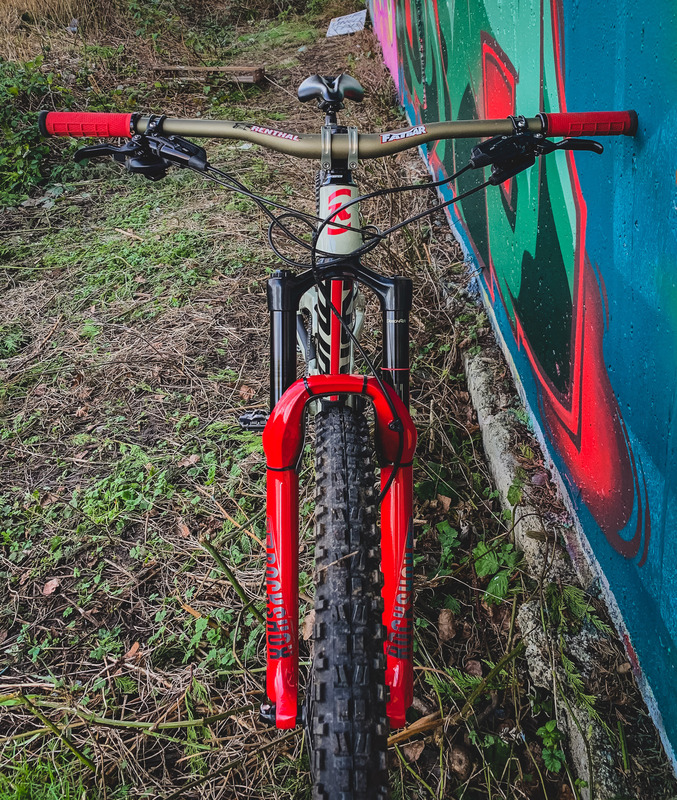 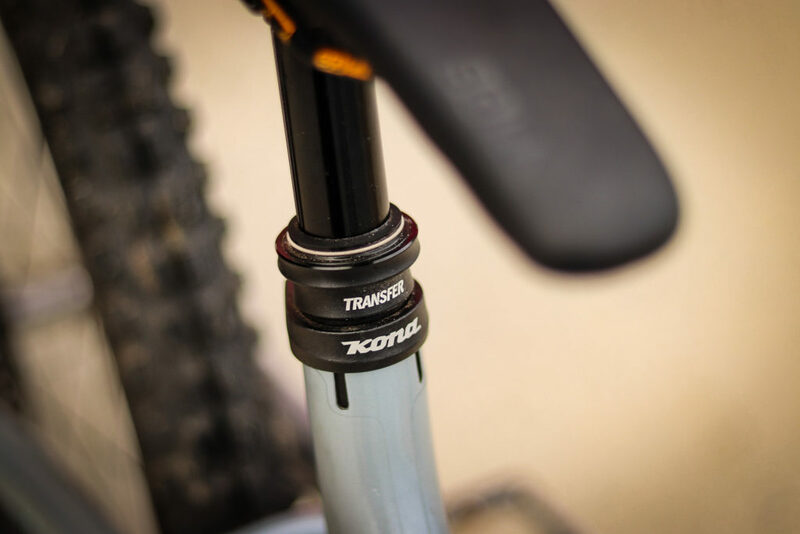 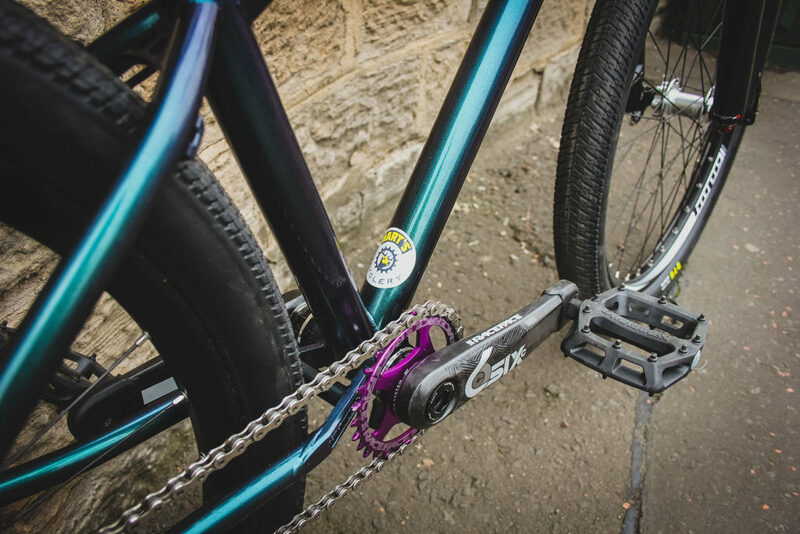 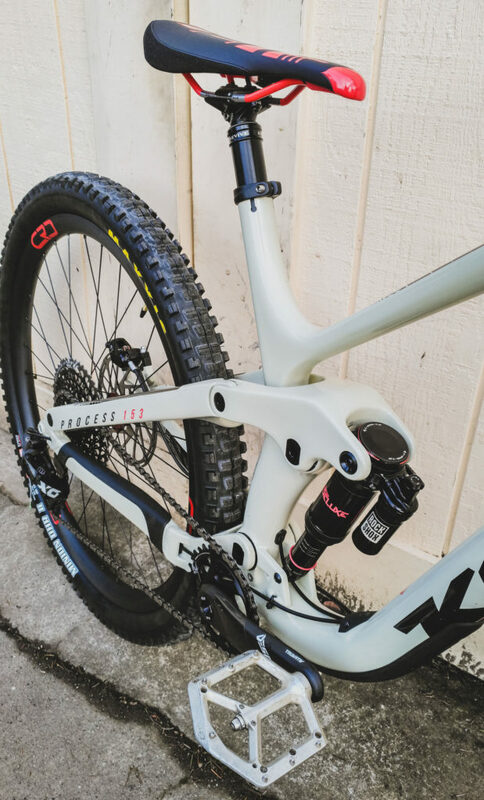 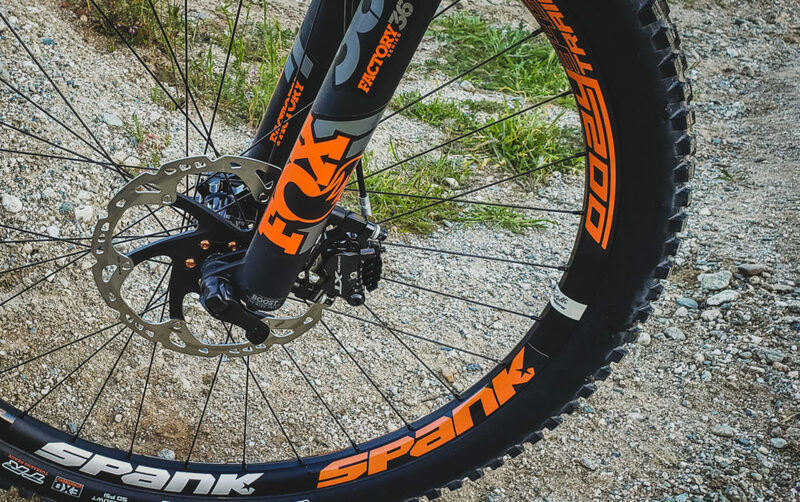 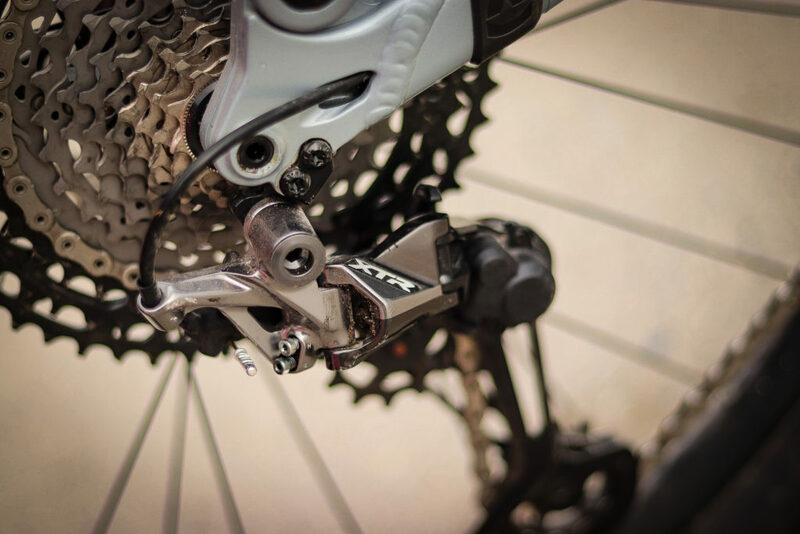 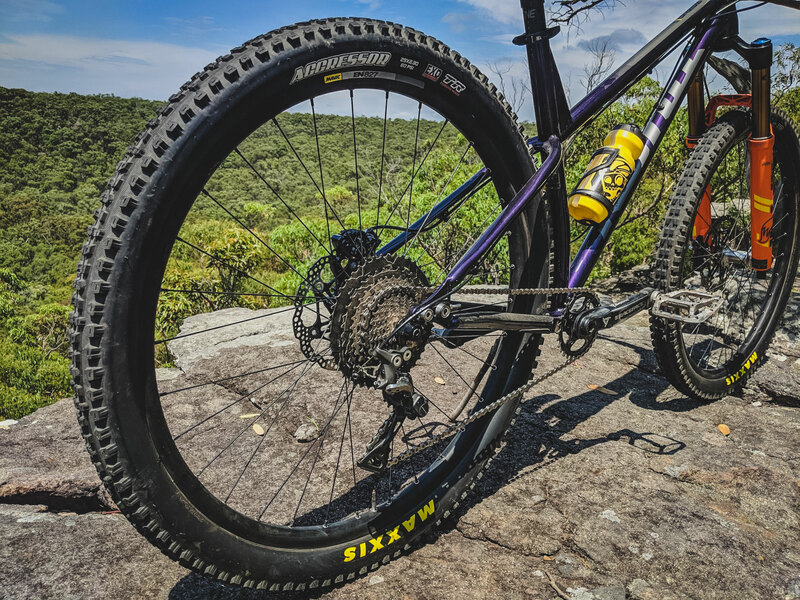 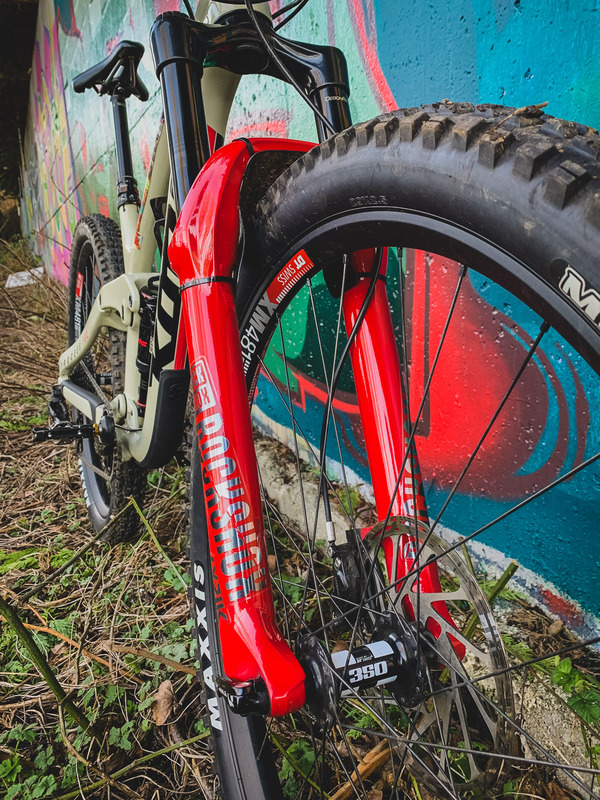 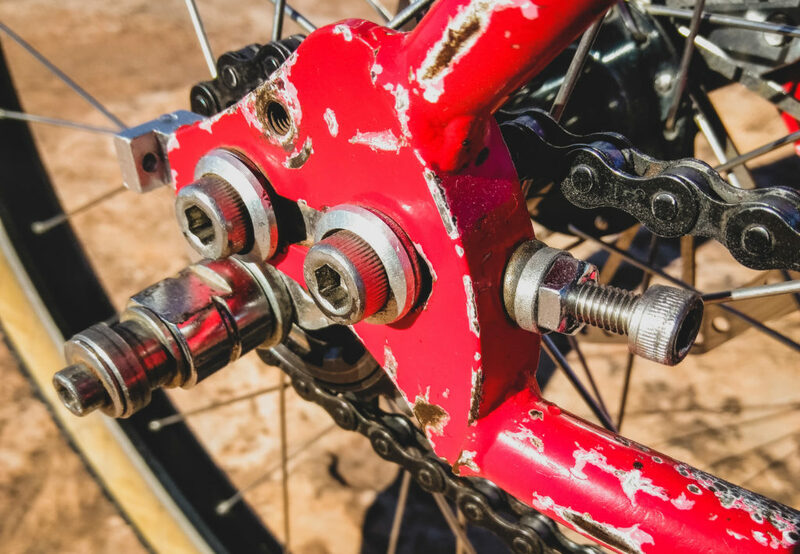 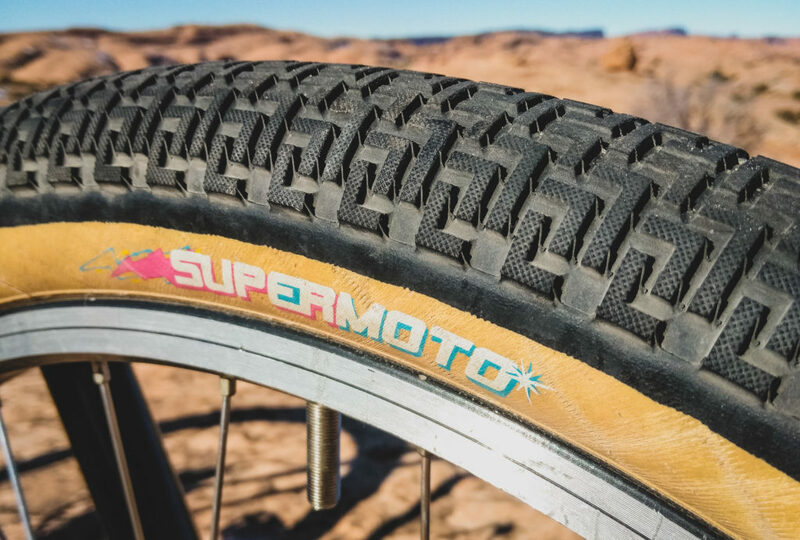 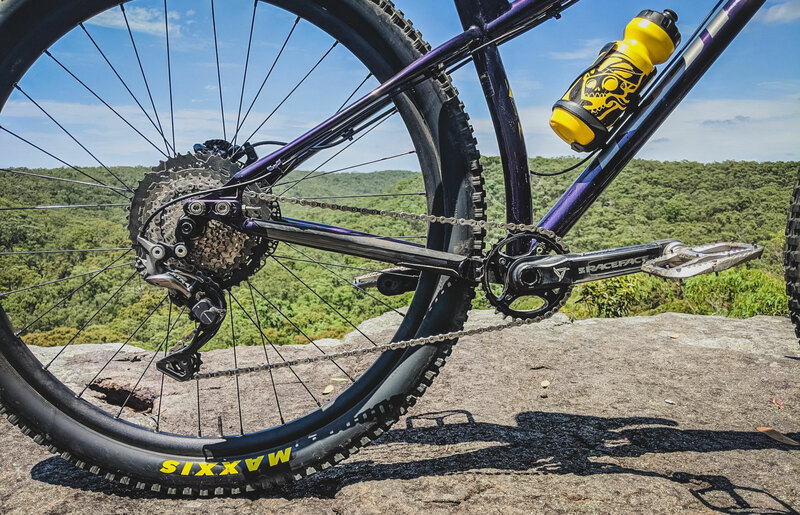 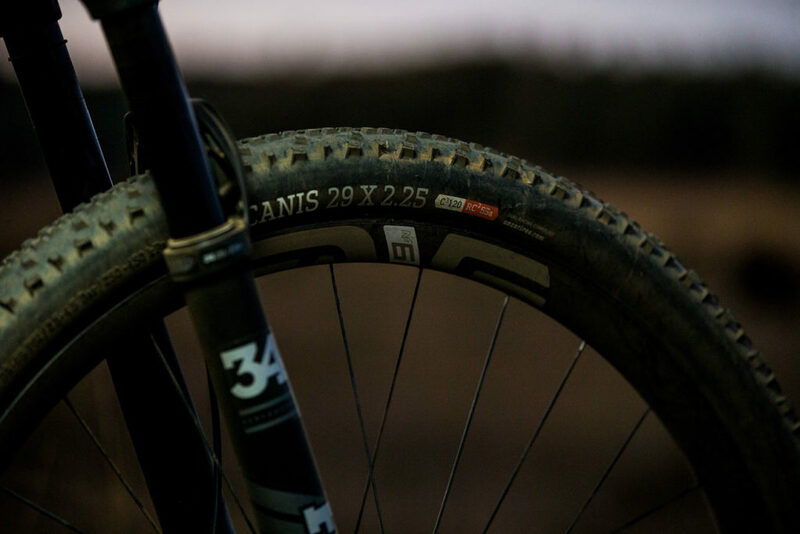 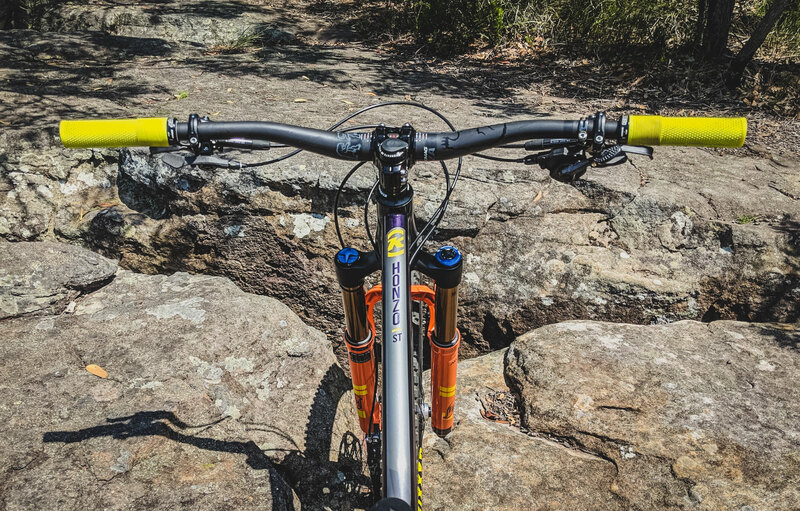 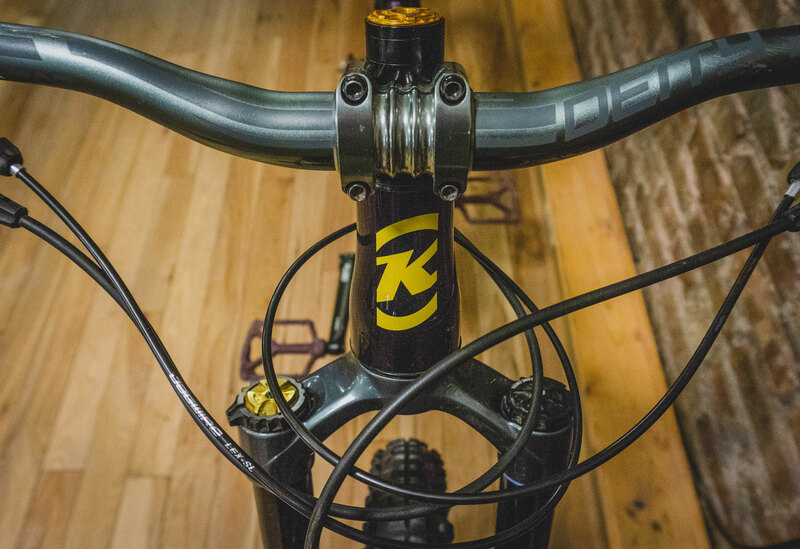 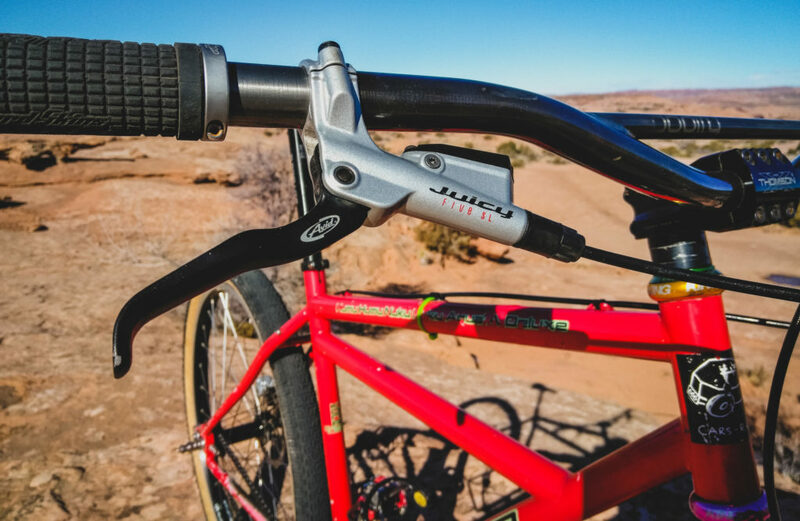 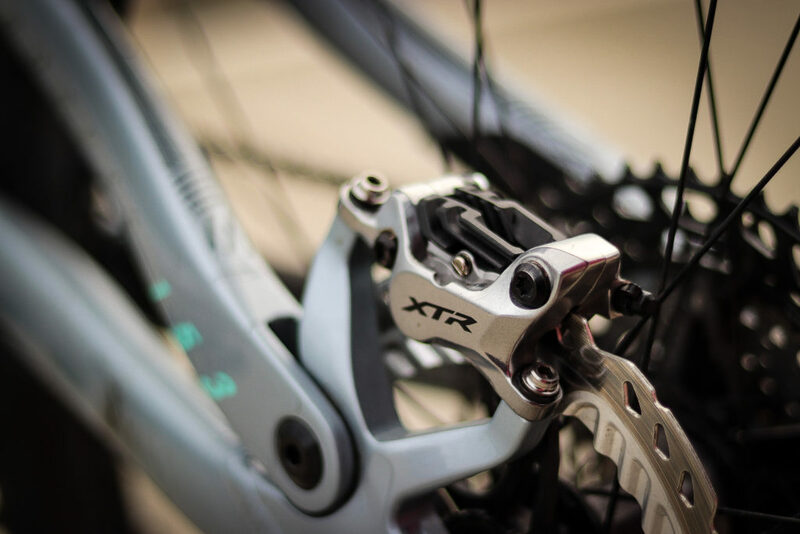 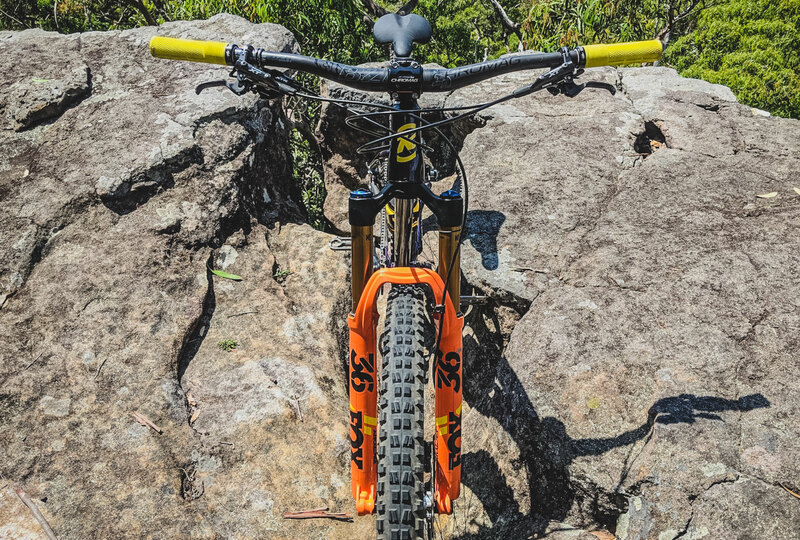 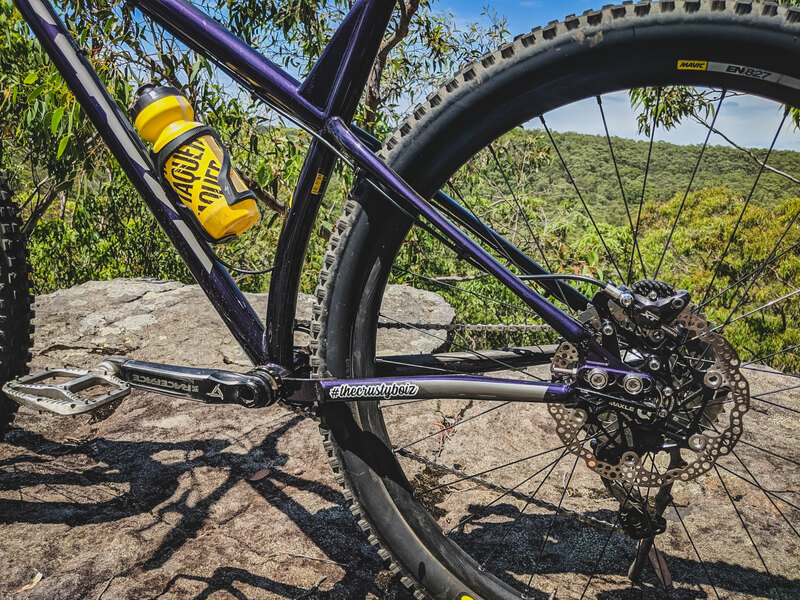 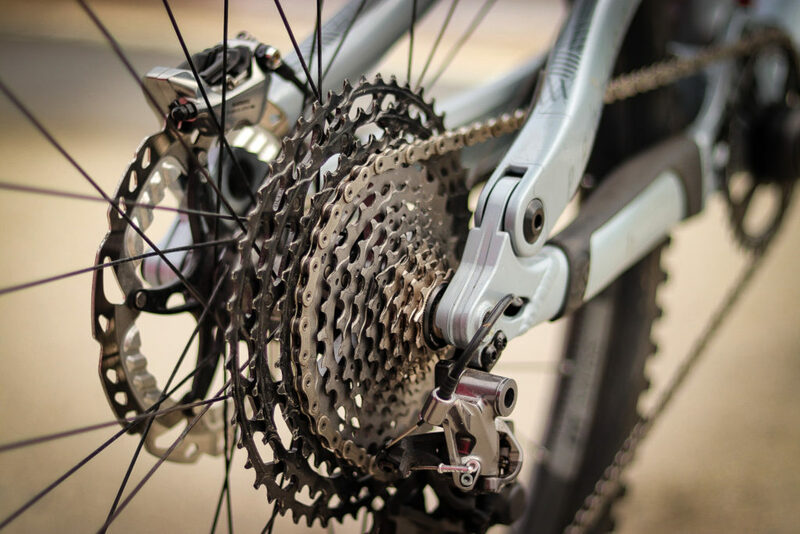 The Magura brakes were one of my first upgrades – I love the modulation and the stopping power of the MT Trails. 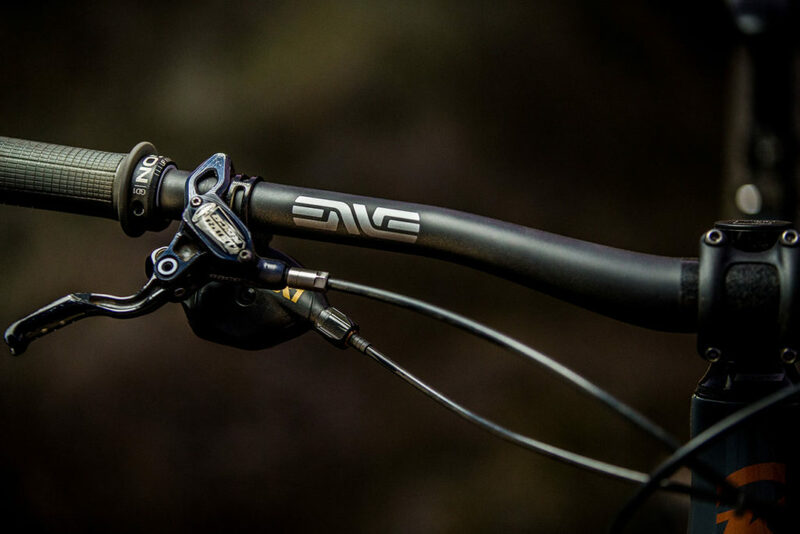 I then replaced the rear shock with a DVO Topaz for better fine-tune adjustments and better overall feel. 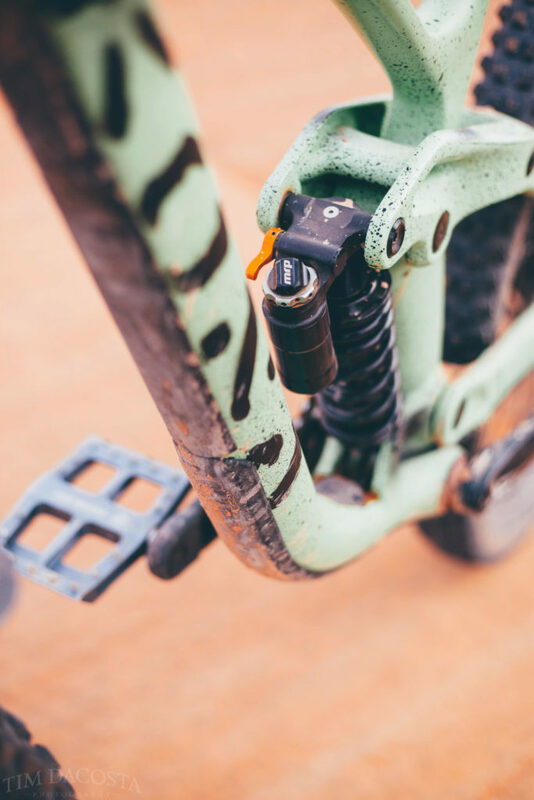 As a lighter rider, changing the negative volume on the Topaz helped me to dial in the right balance. 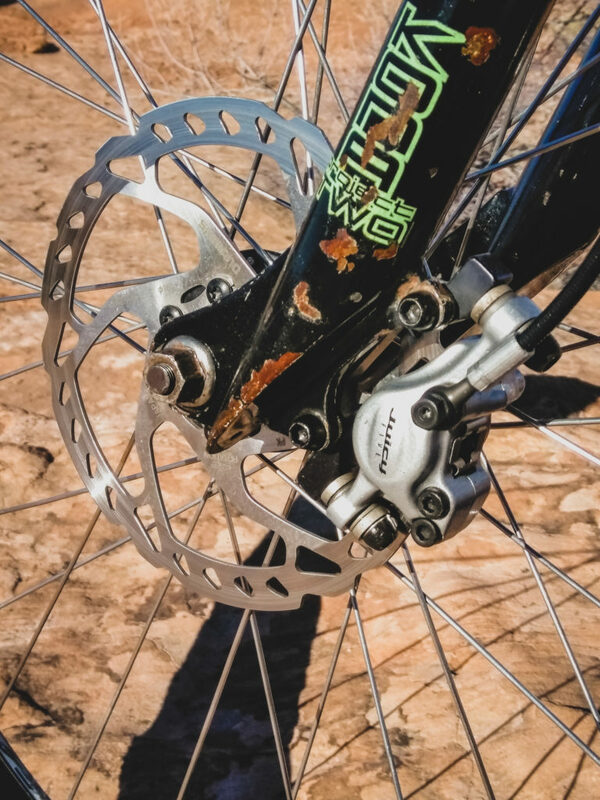 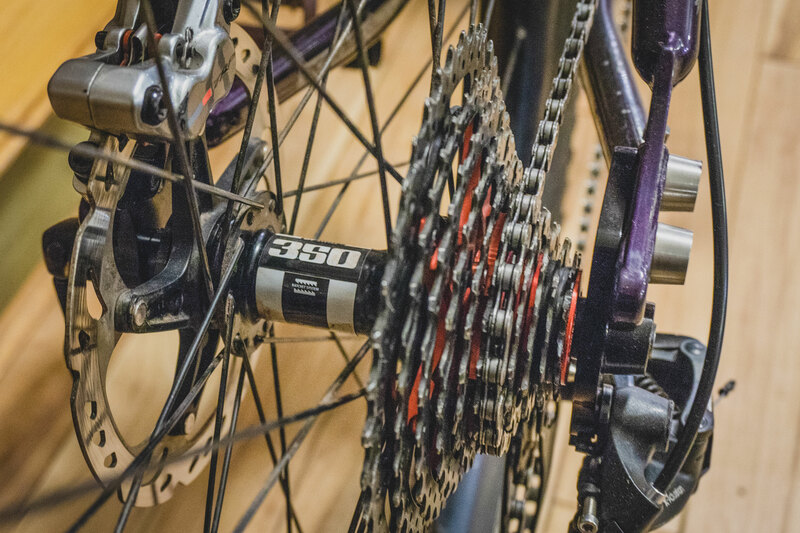 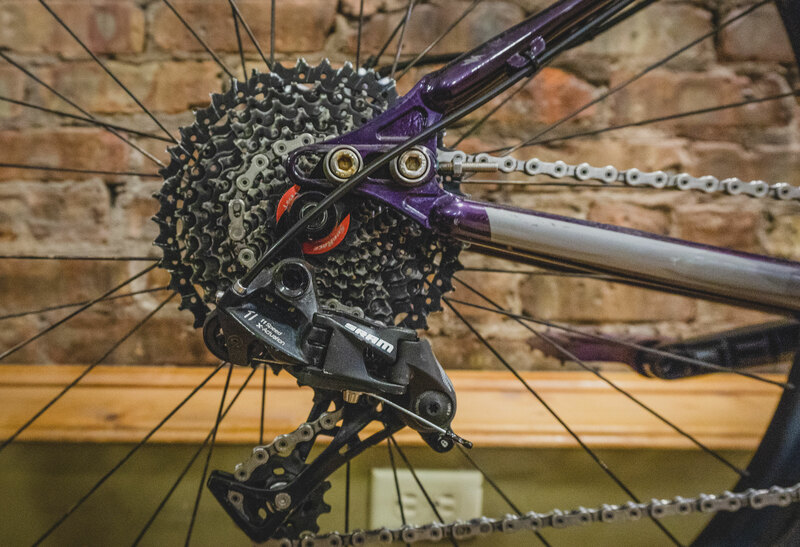 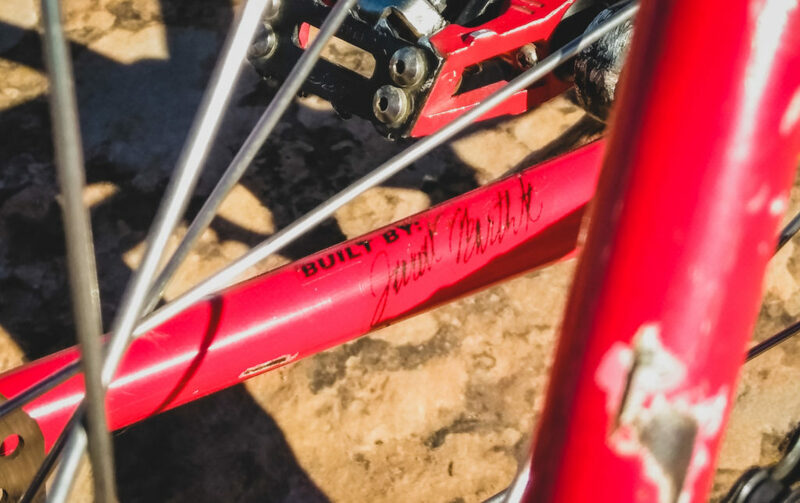 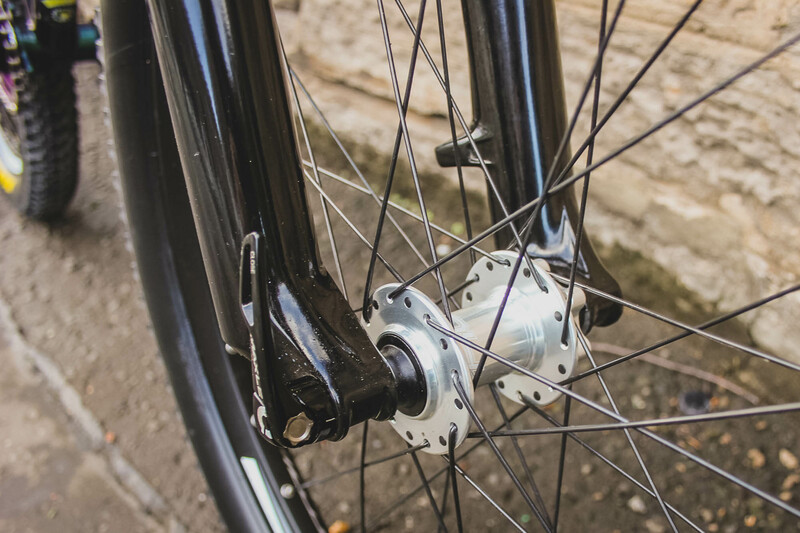 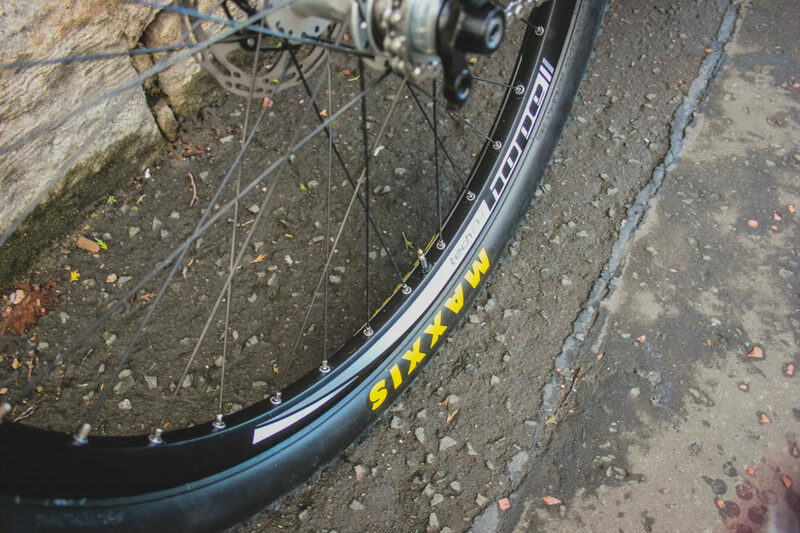 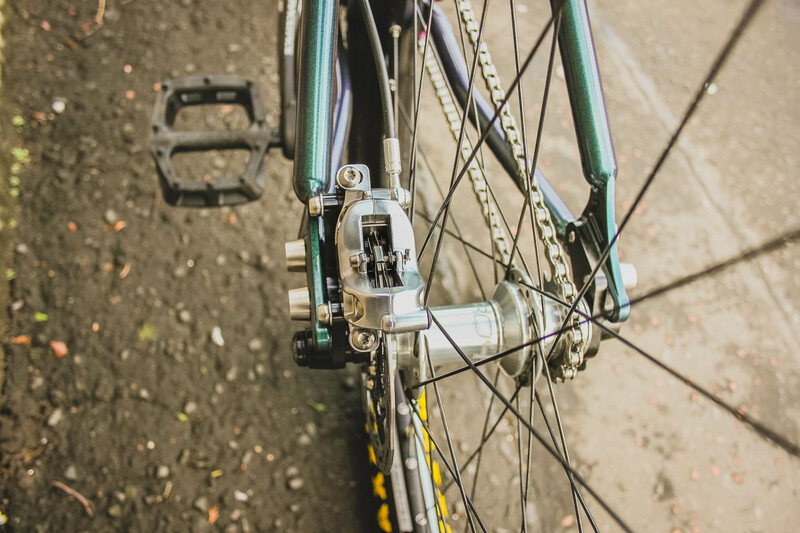 I am a snob when it comes to engagement, so some Industry Nine hubs laced to Stans Flow rims were next. 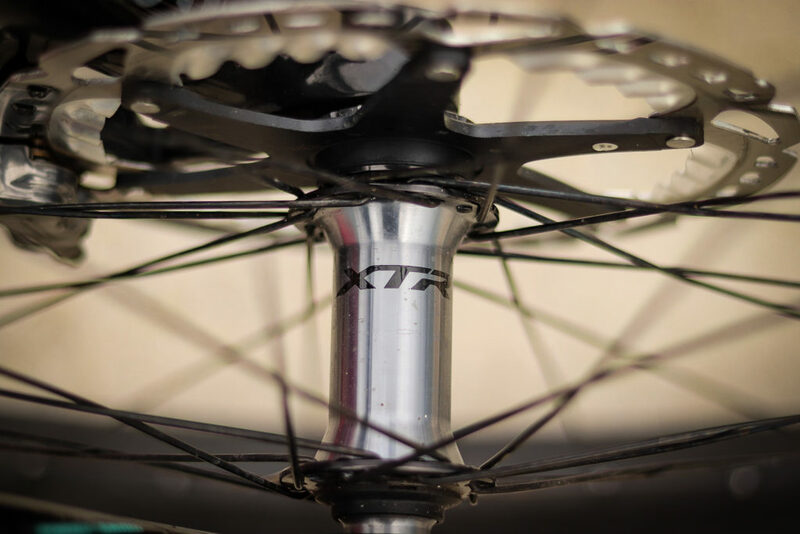 Thus far, the new MK3 Flow rims have been stout, without needing a true yet! 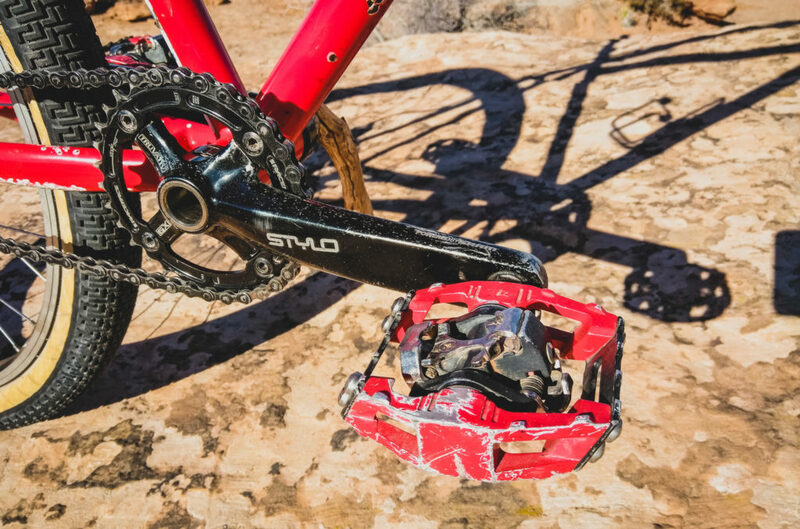 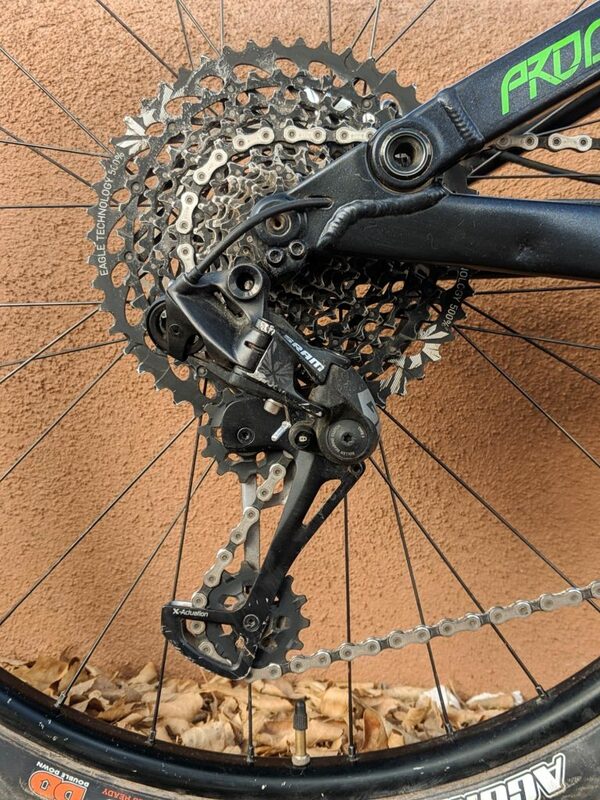 Then I upgraded to the SRAM Eagle GX drivetrain to help with the steep terrain here in New Mexico. 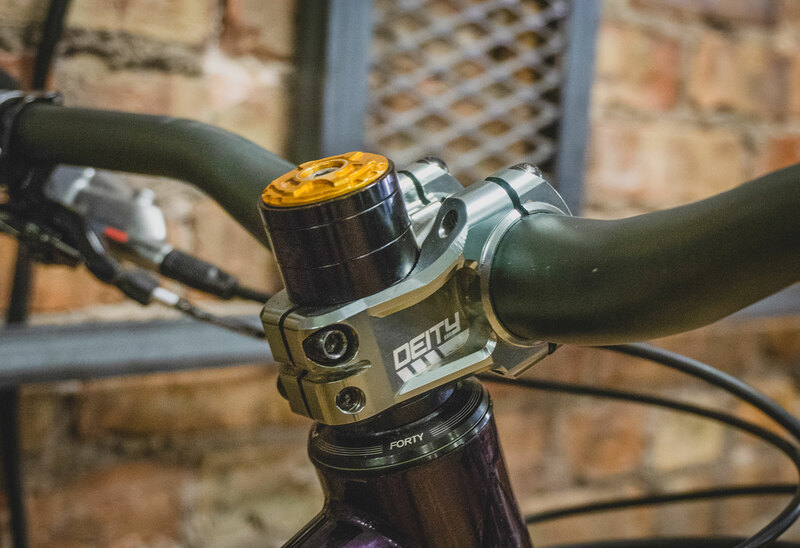 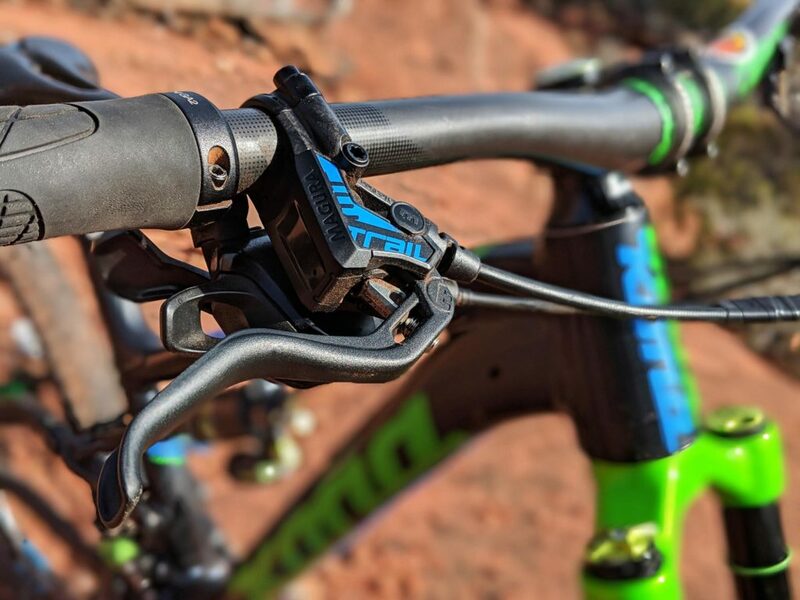 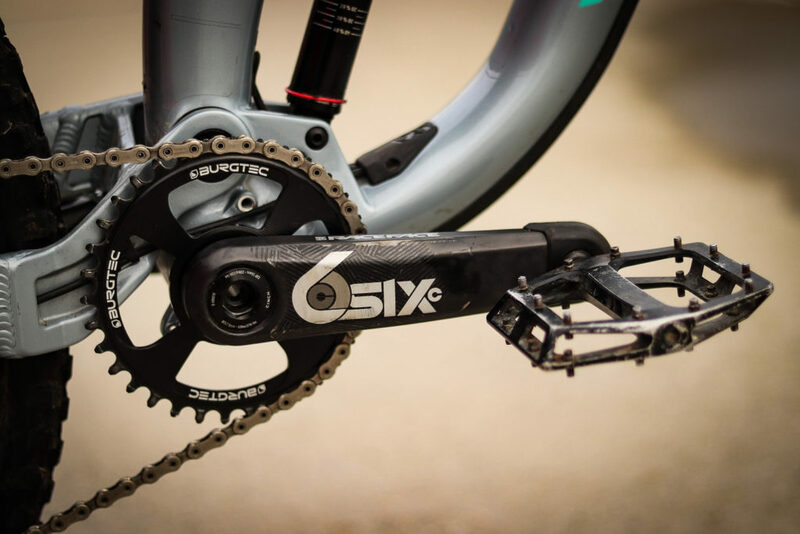 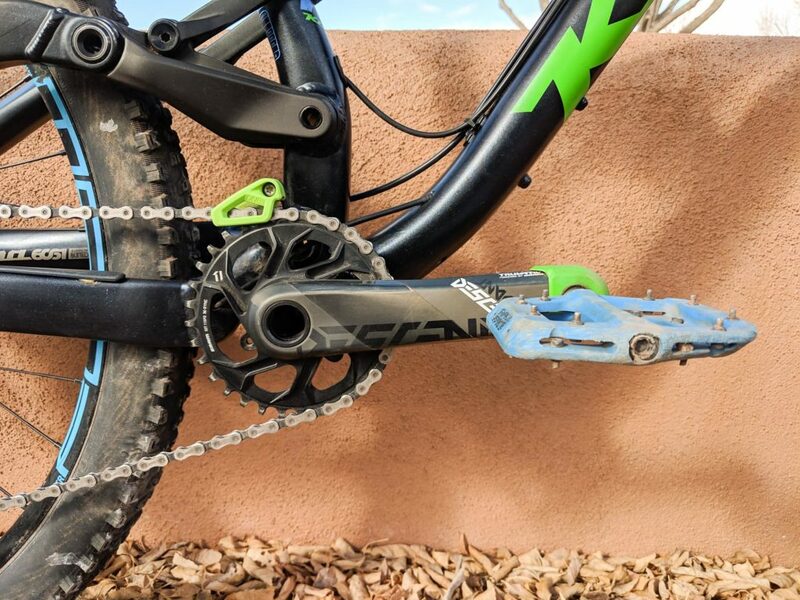 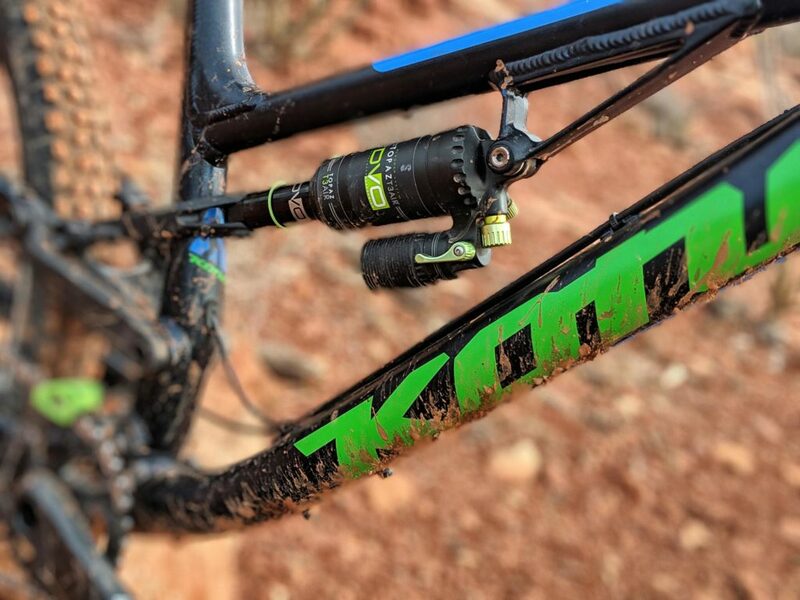 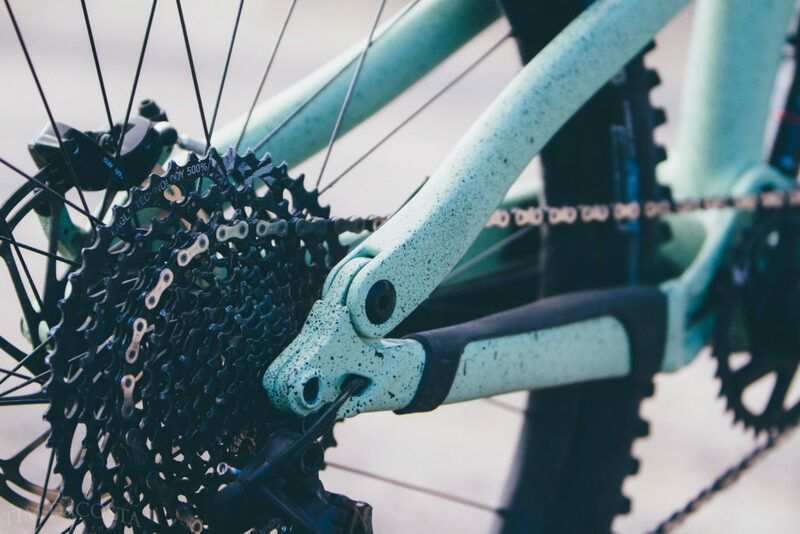 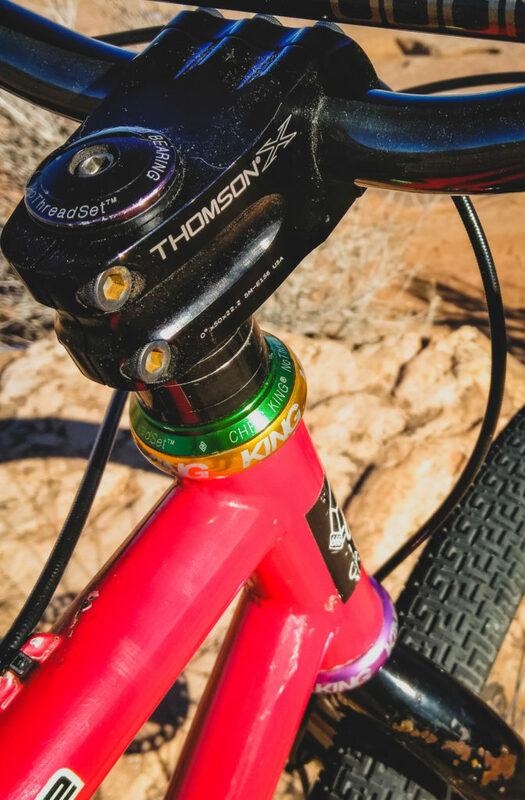 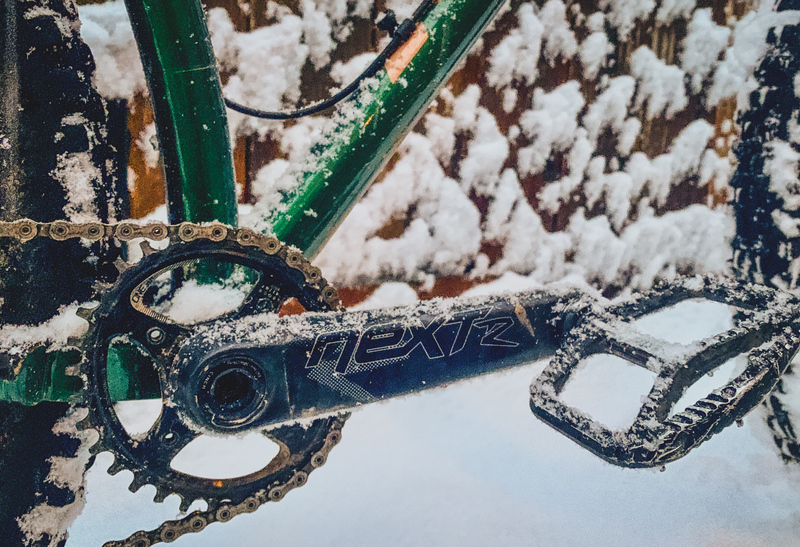 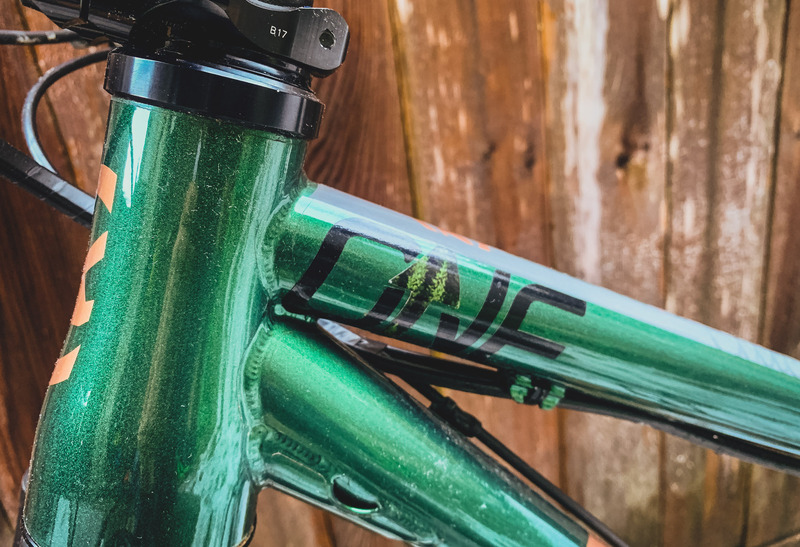 A little dash of green was added with the OneUp chainguide, a much needed device for riding the trails at Angel Fire and Glorieta. 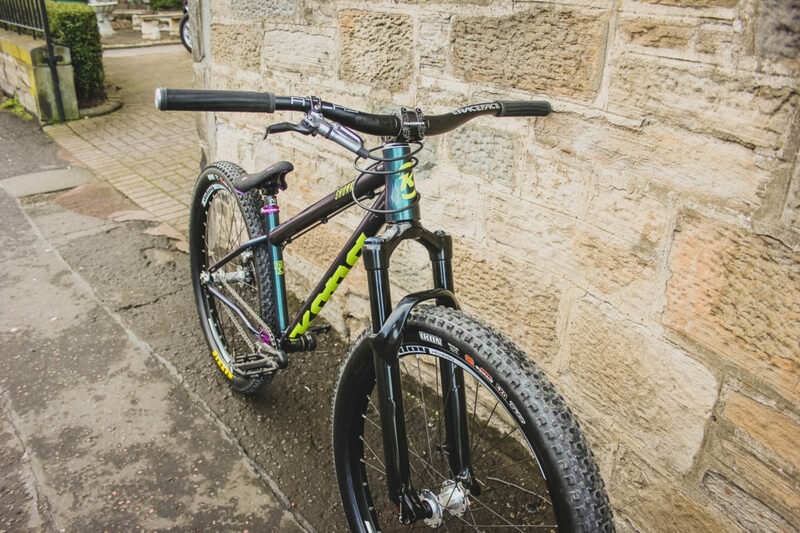 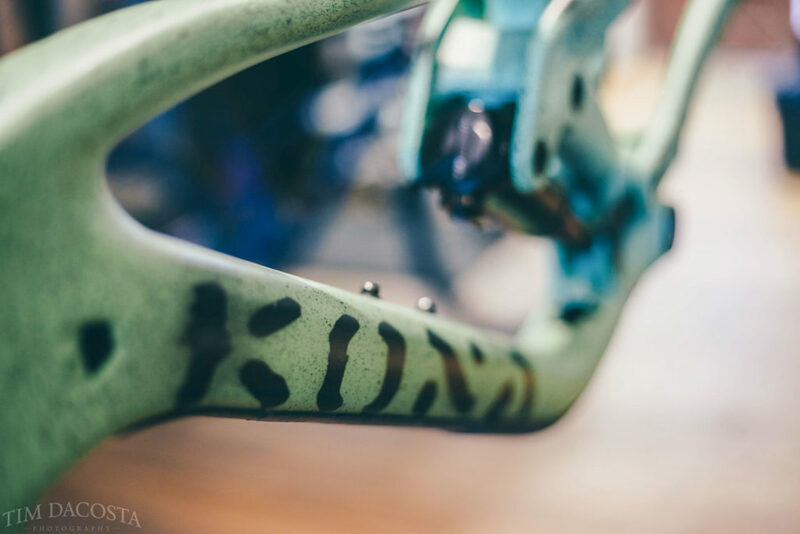 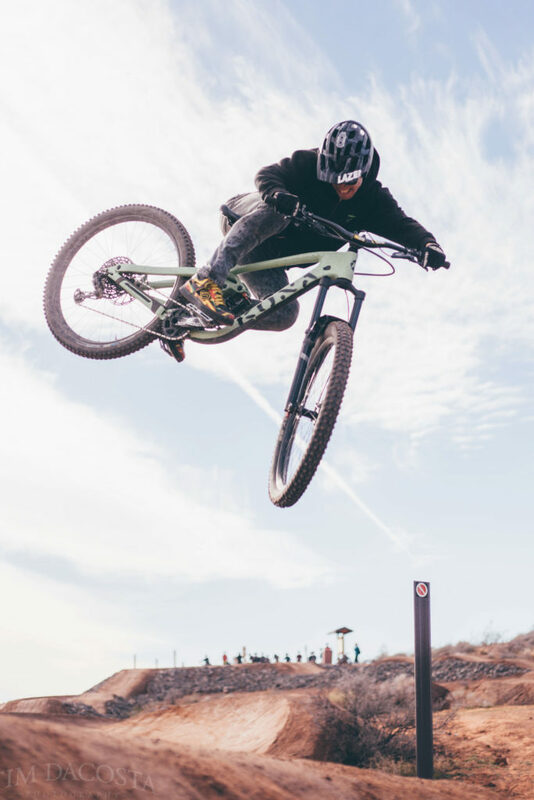 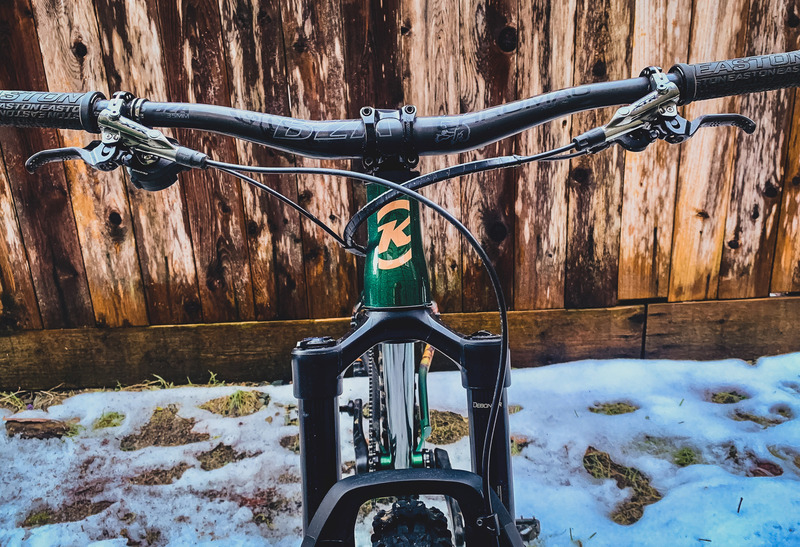 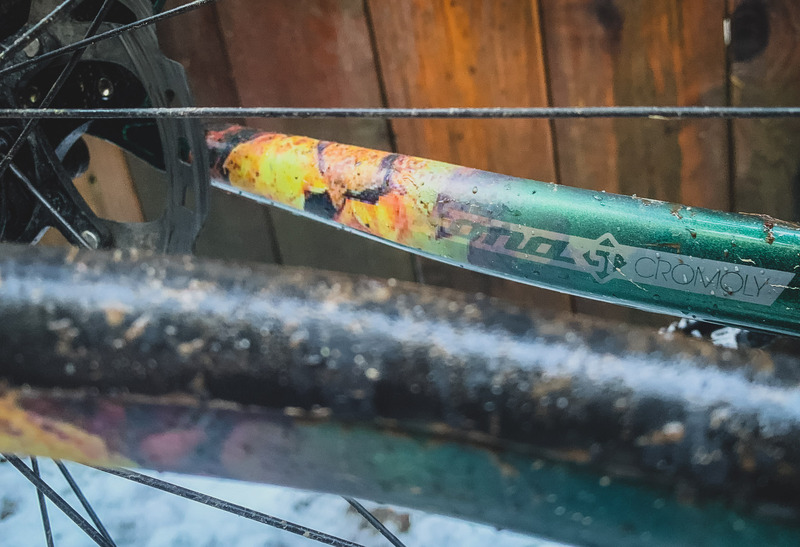 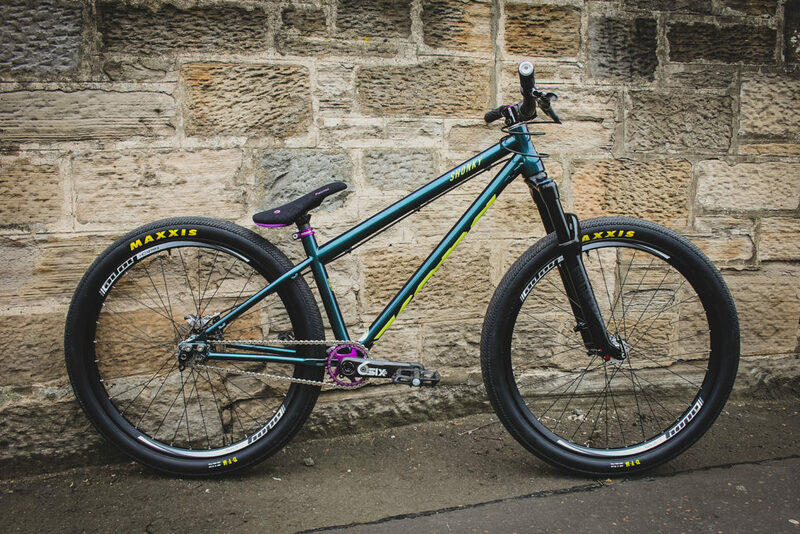 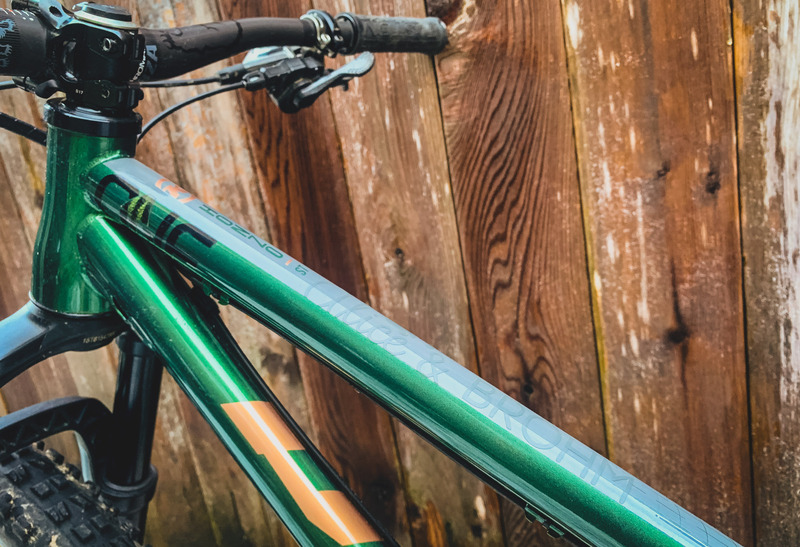 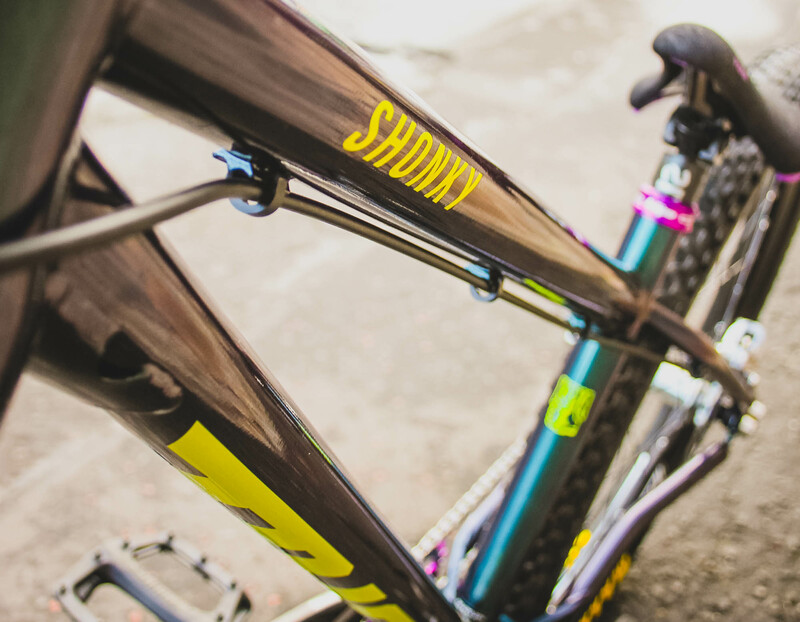 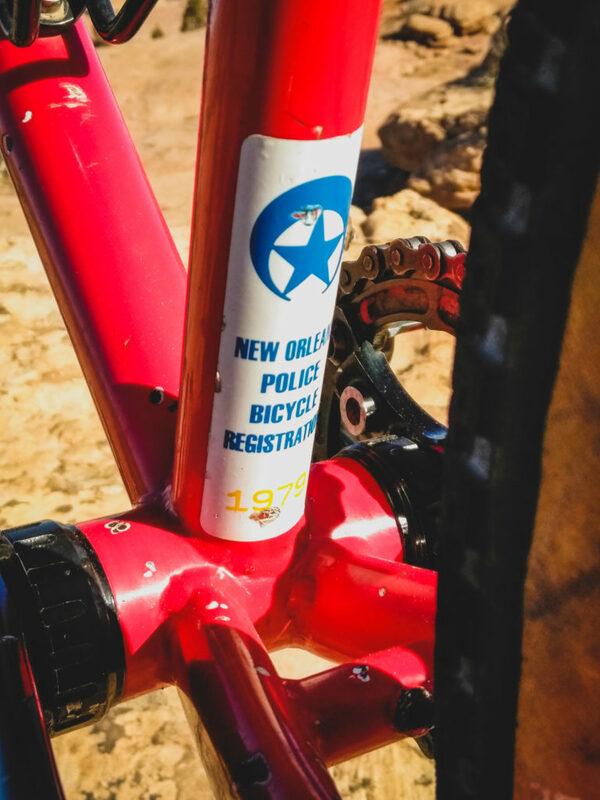 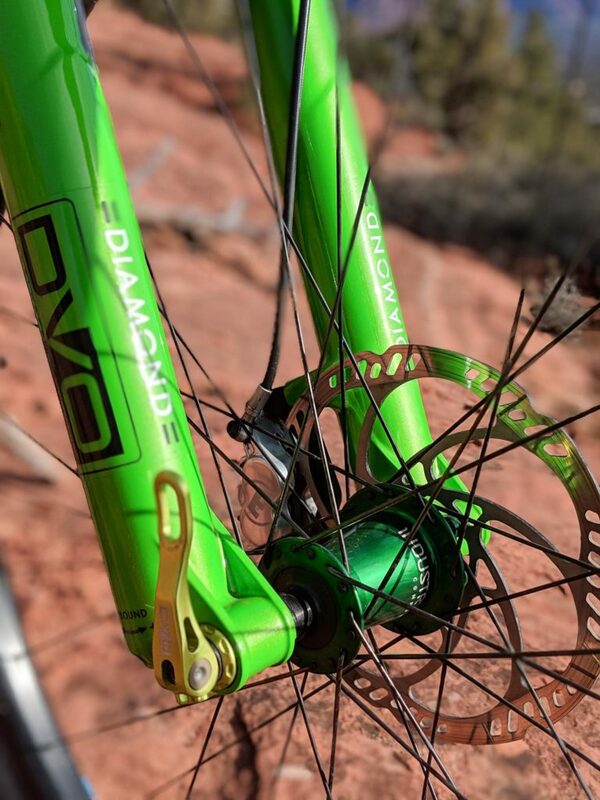 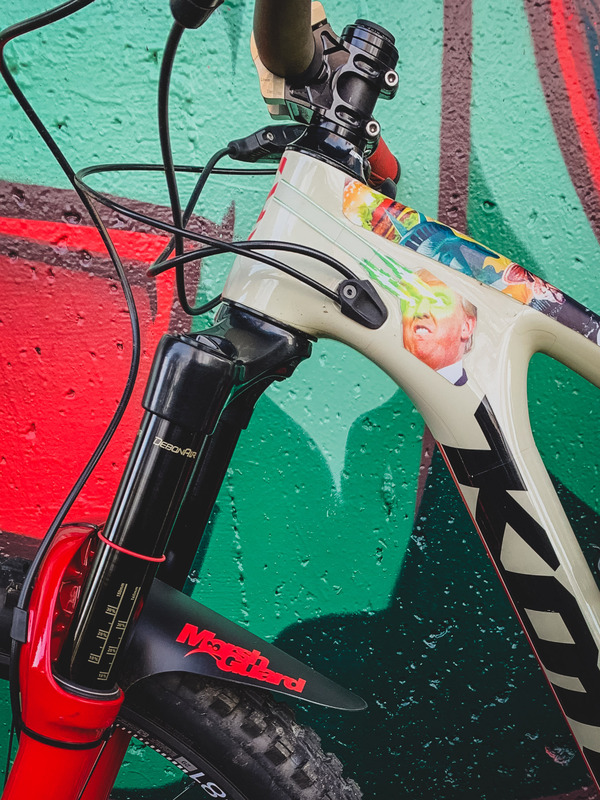 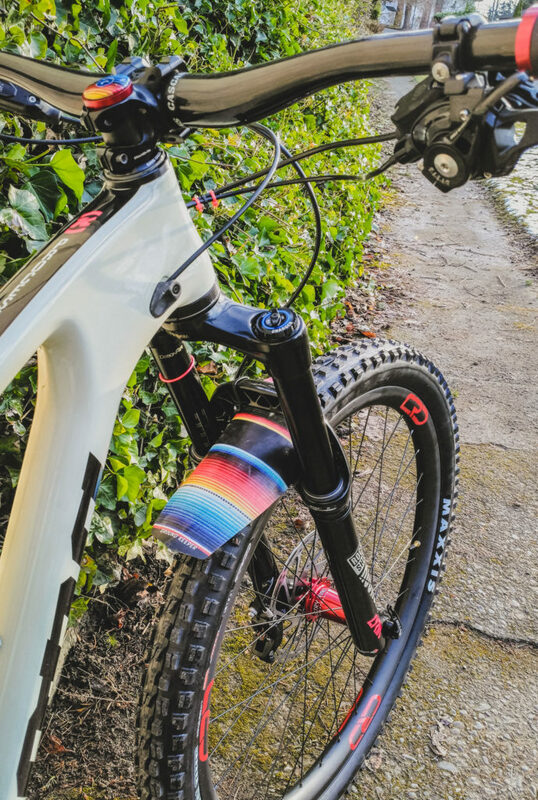 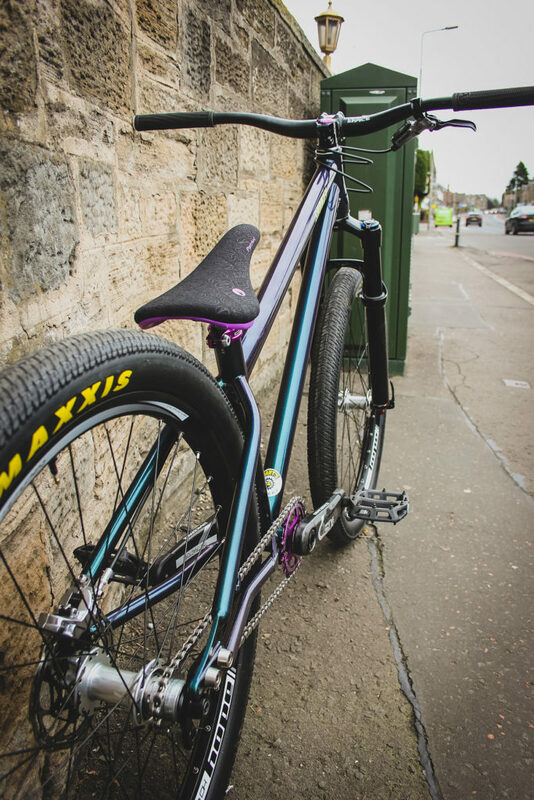 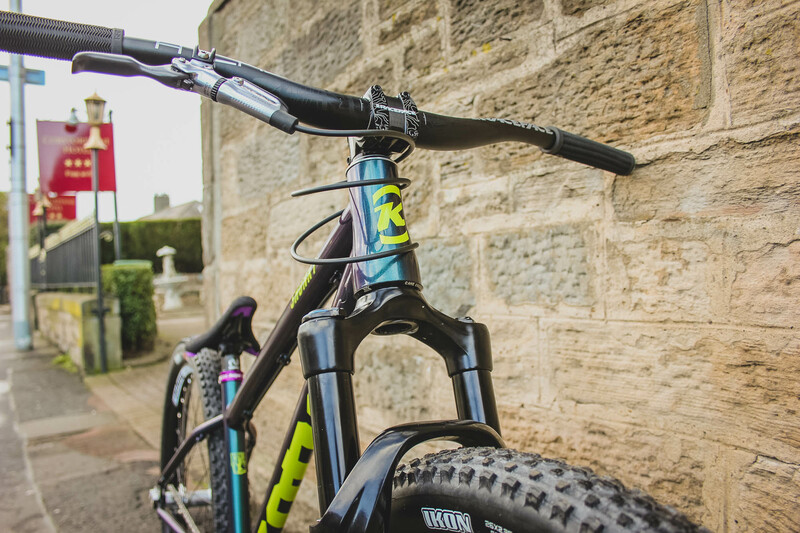 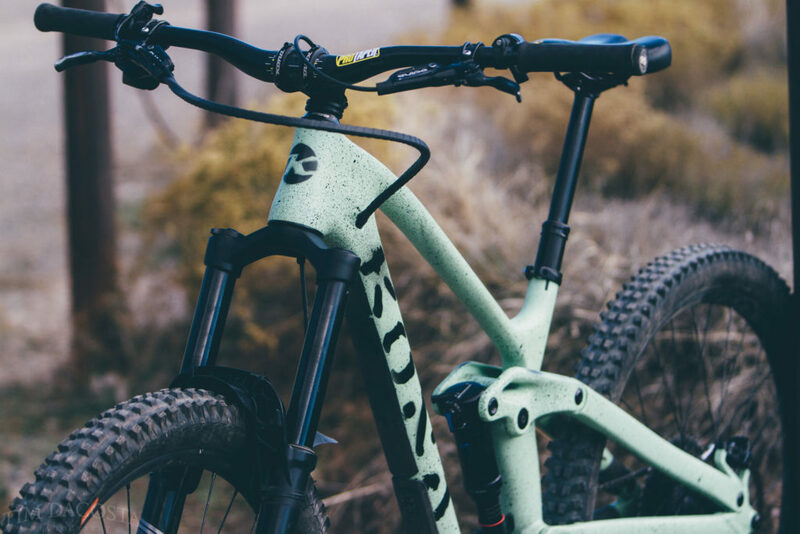 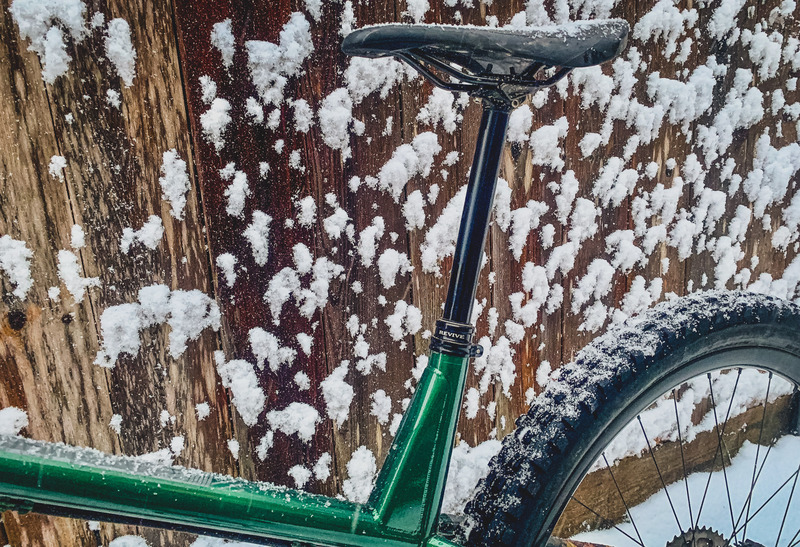 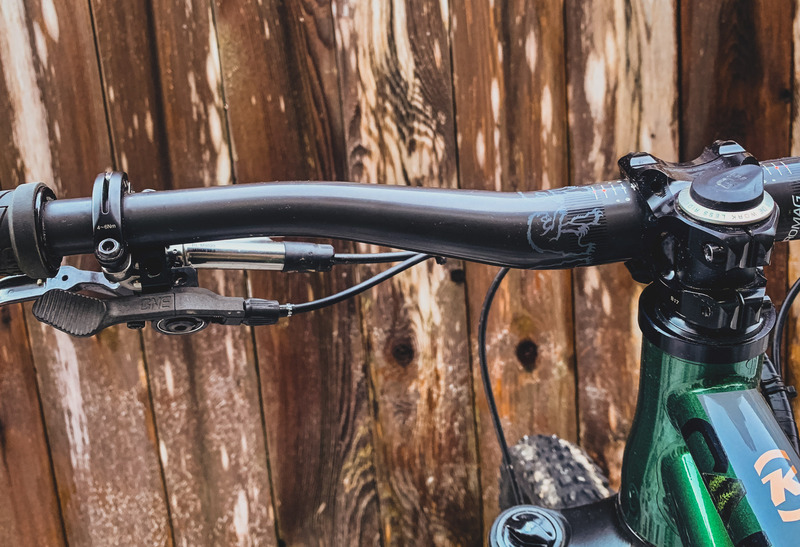 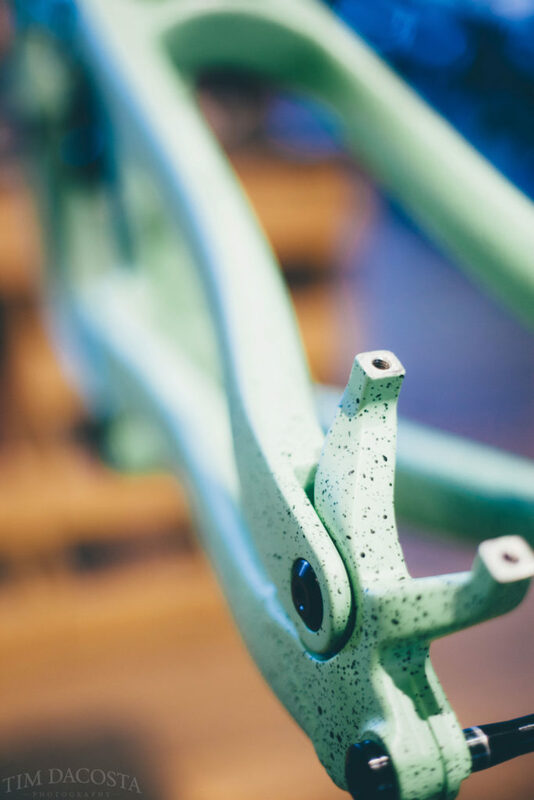 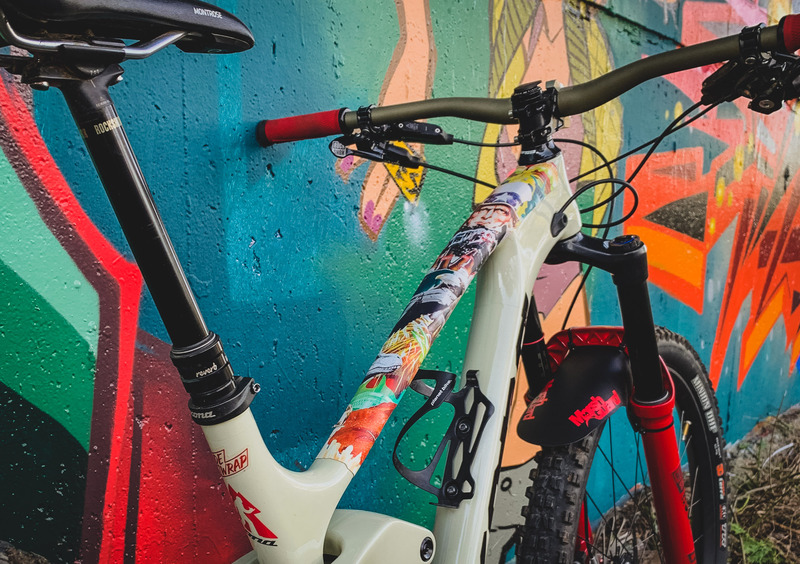 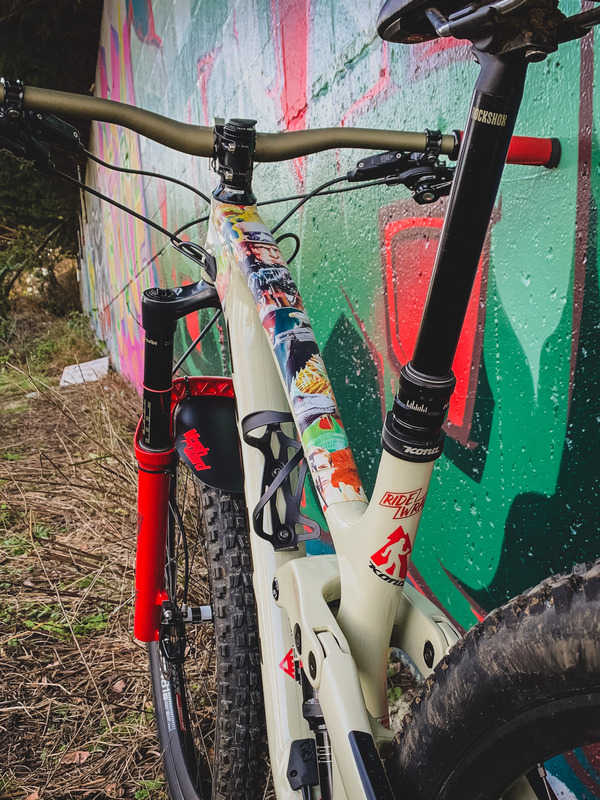 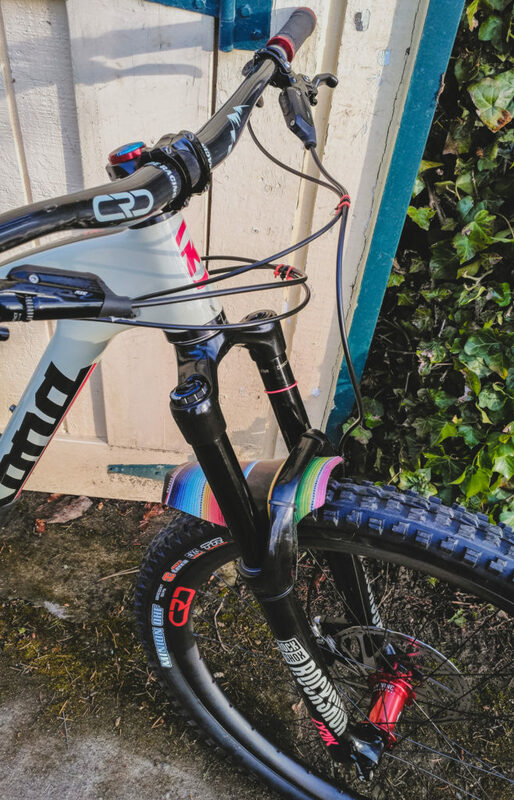 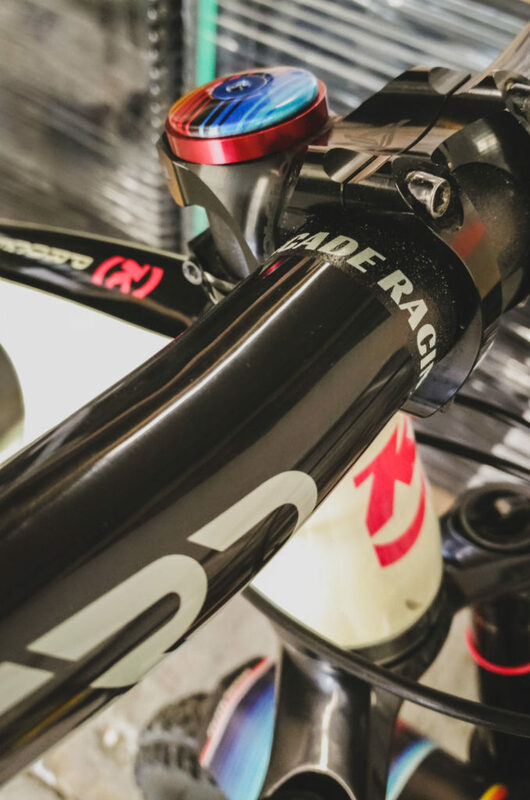 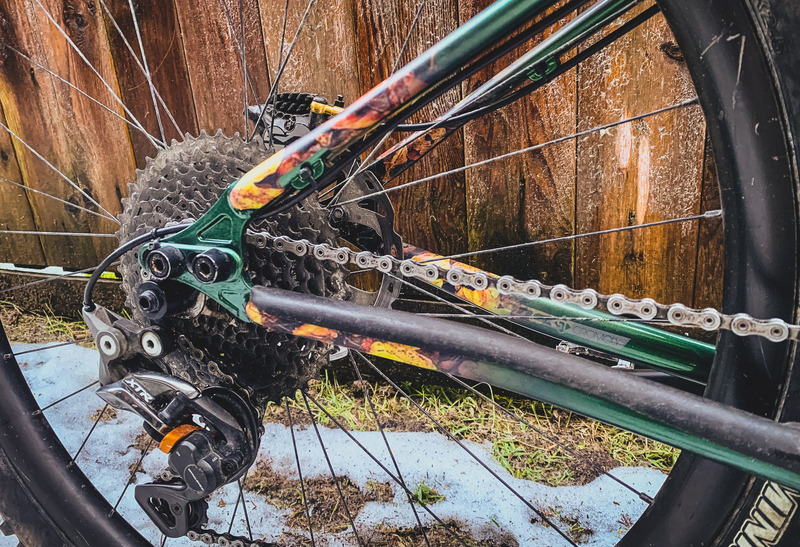 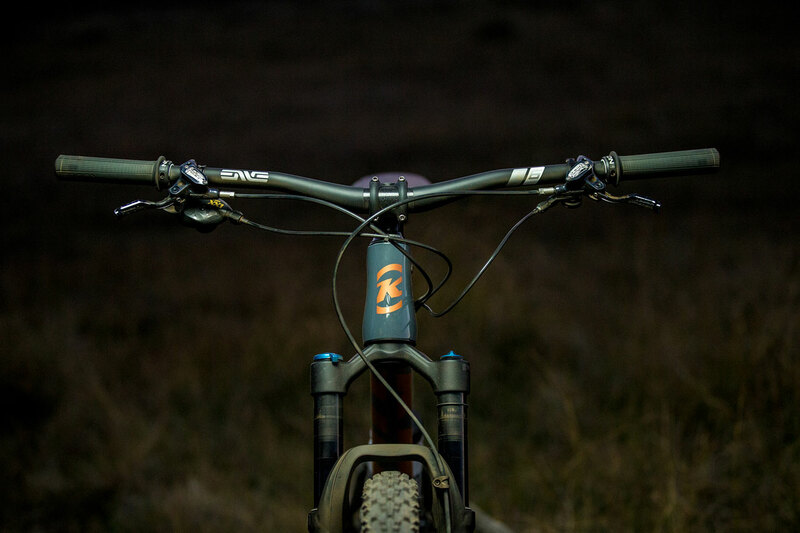 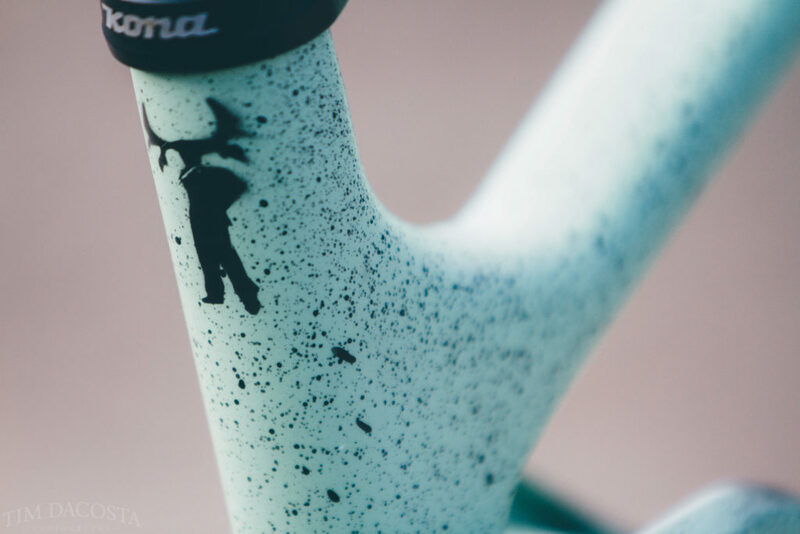 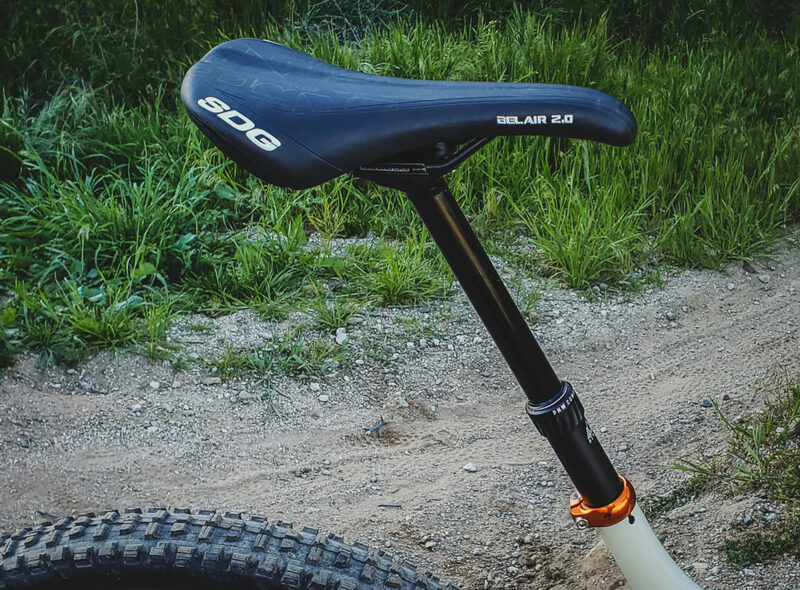 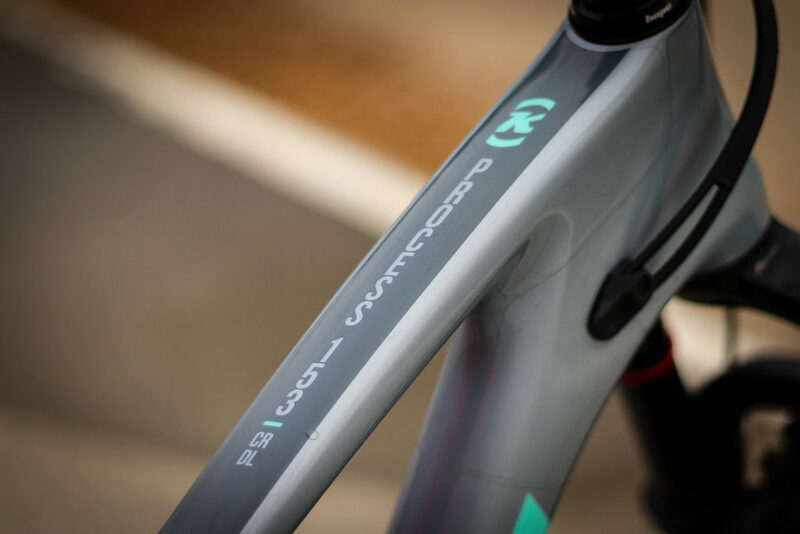 Most recently, I replaced the fork with a DVO Diamond, not only because the green matched the bike decals so damn well, but also because I wanted a stiffer, more predictable fork. 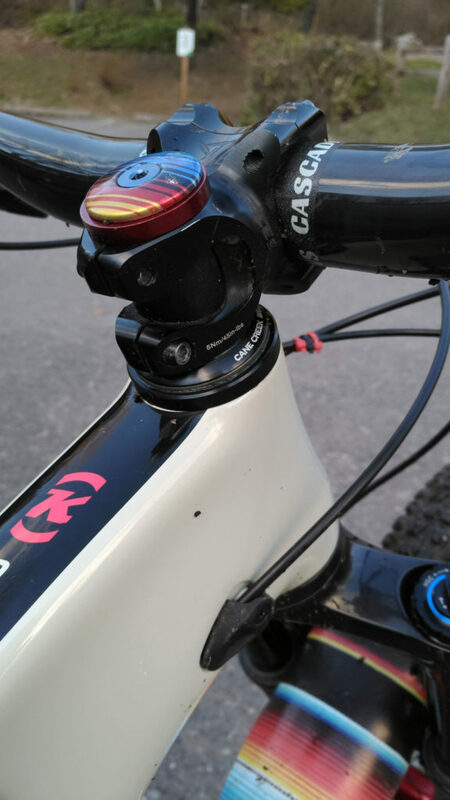 Again, as a lighter rider, the numerous adjustments allowed me to finally get the correct feel.